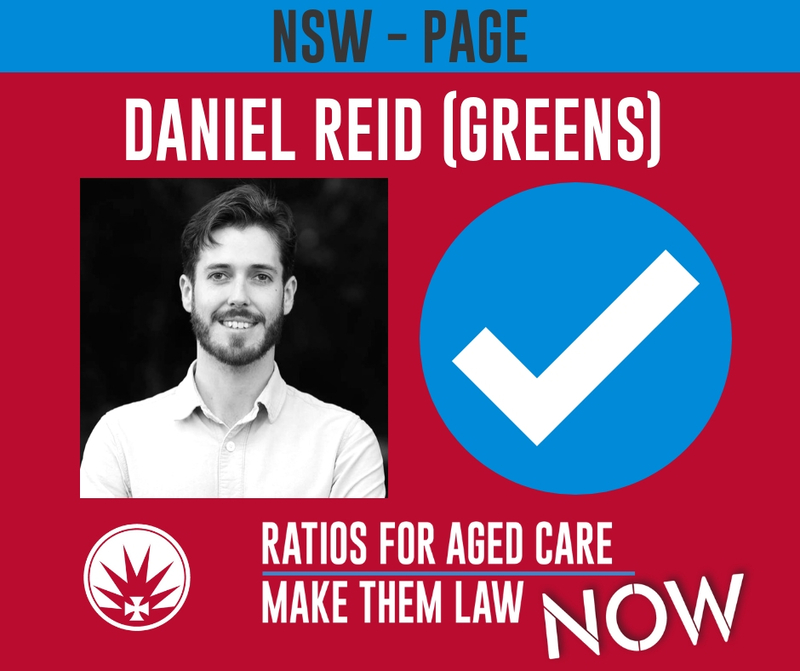 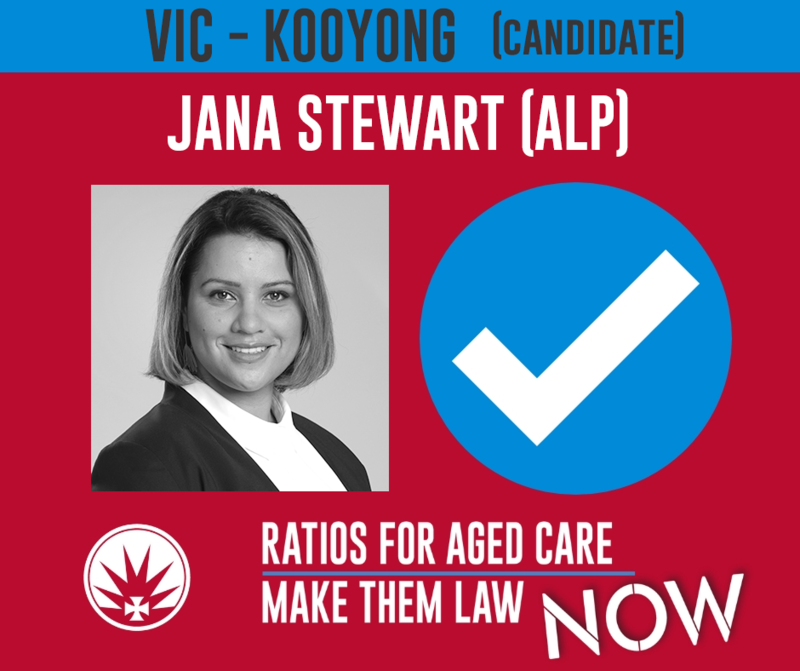 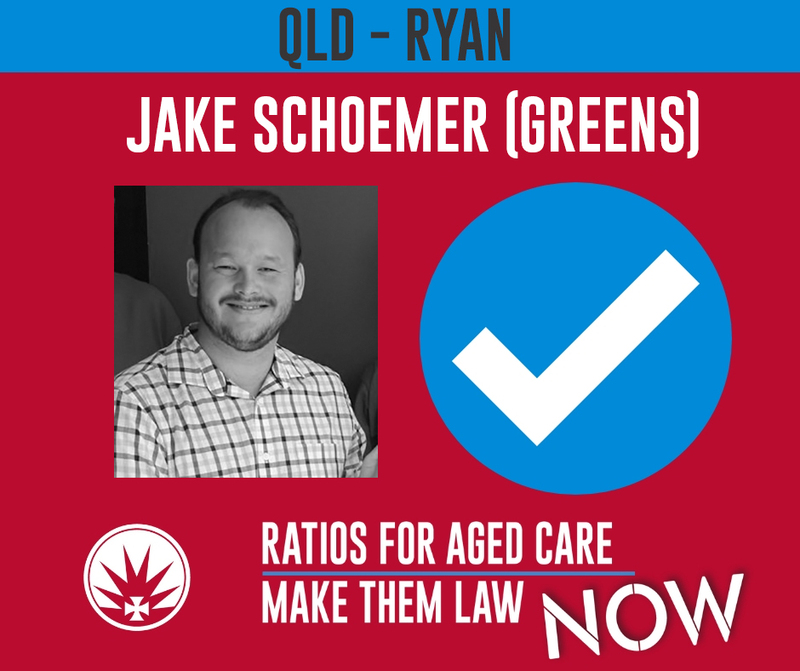 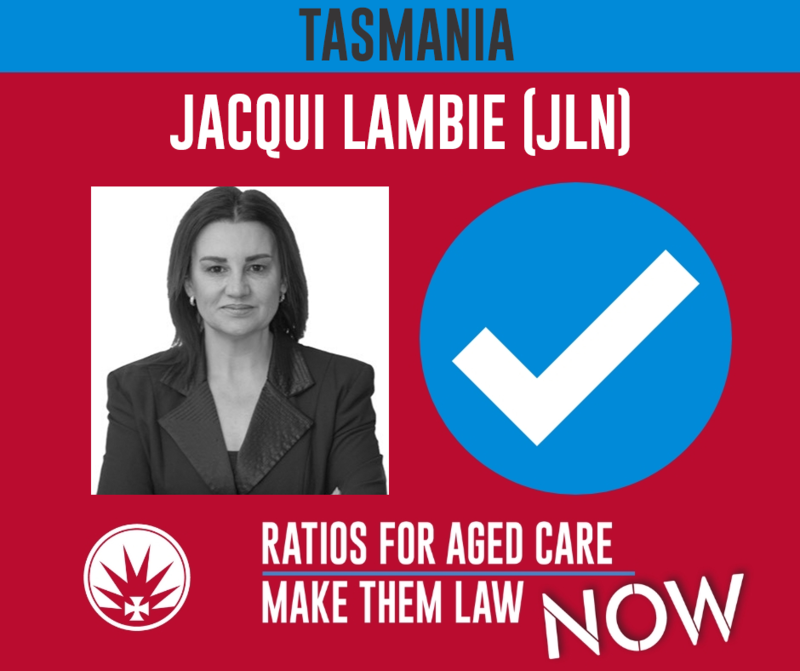 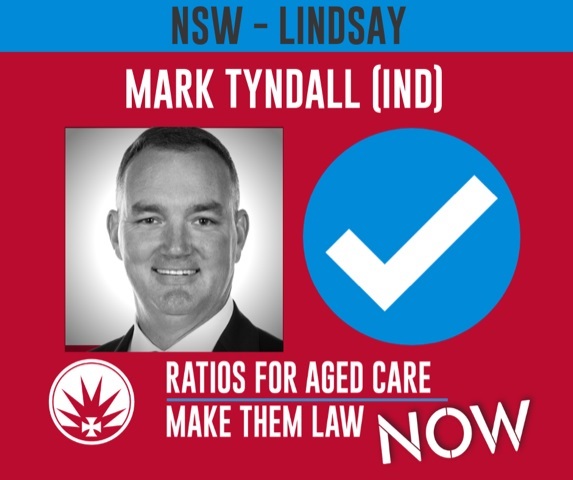 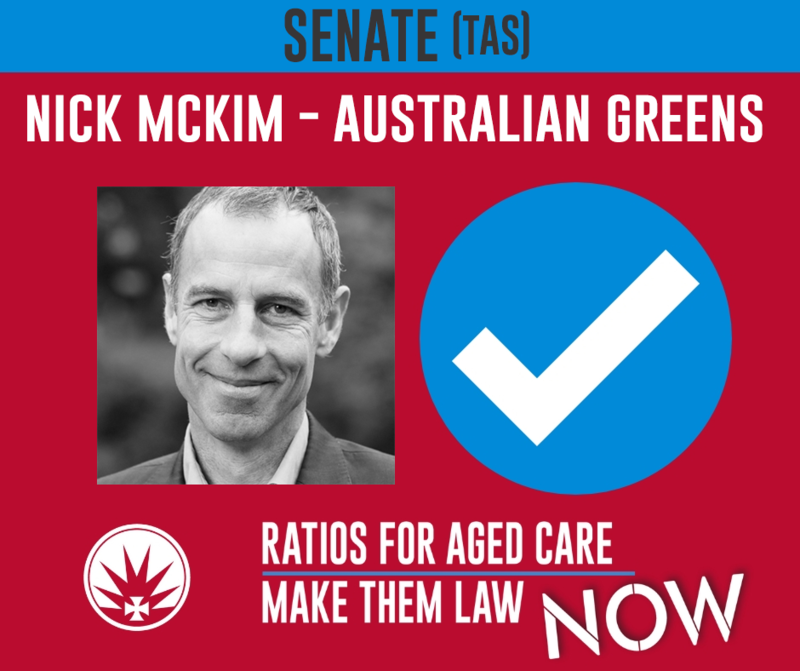 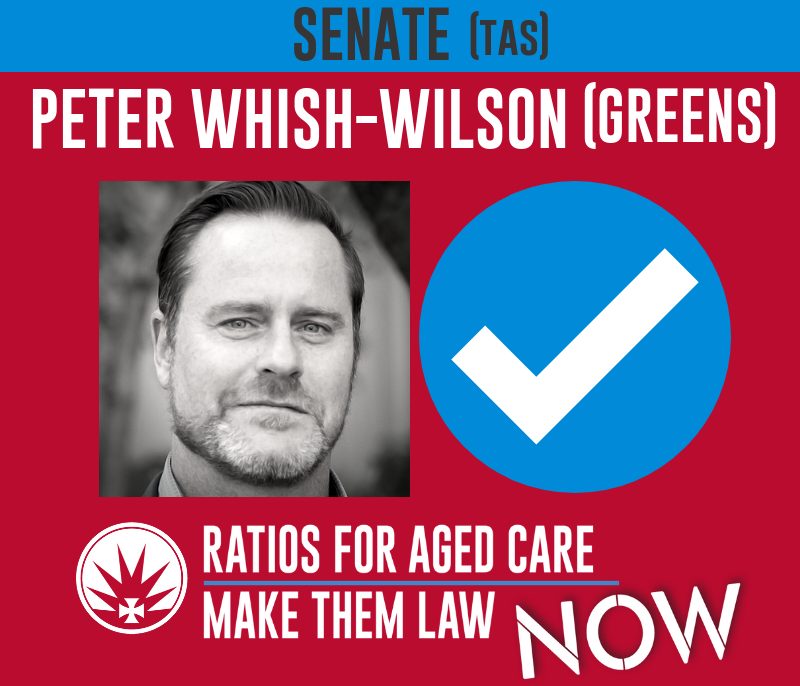 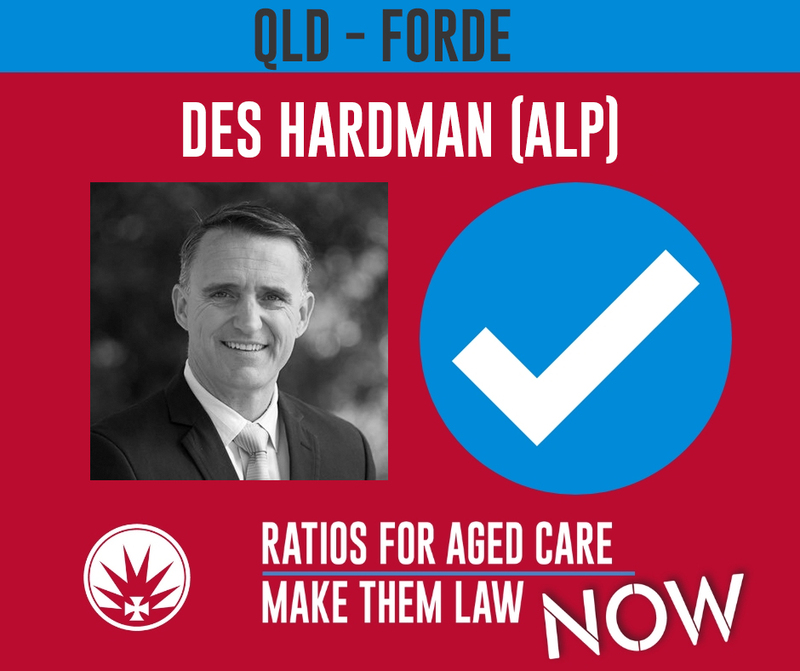 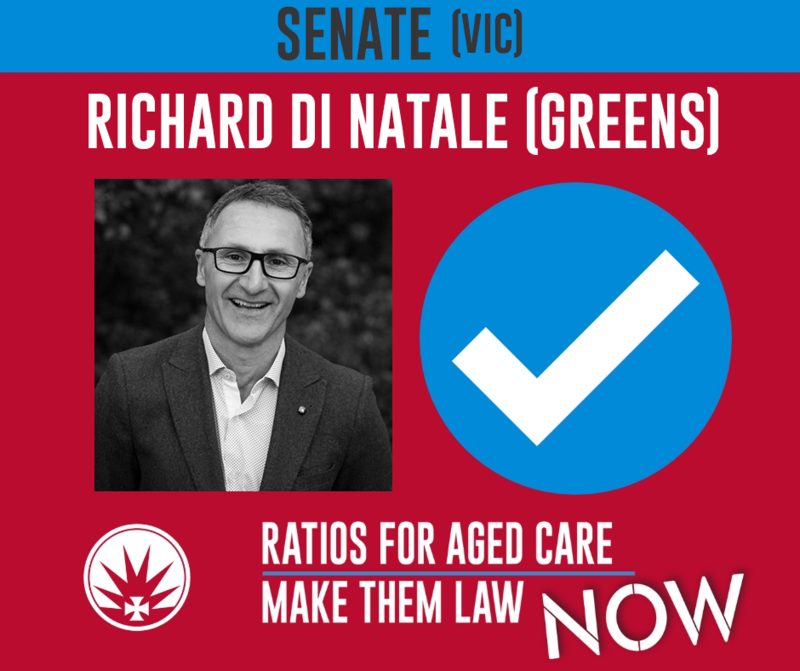 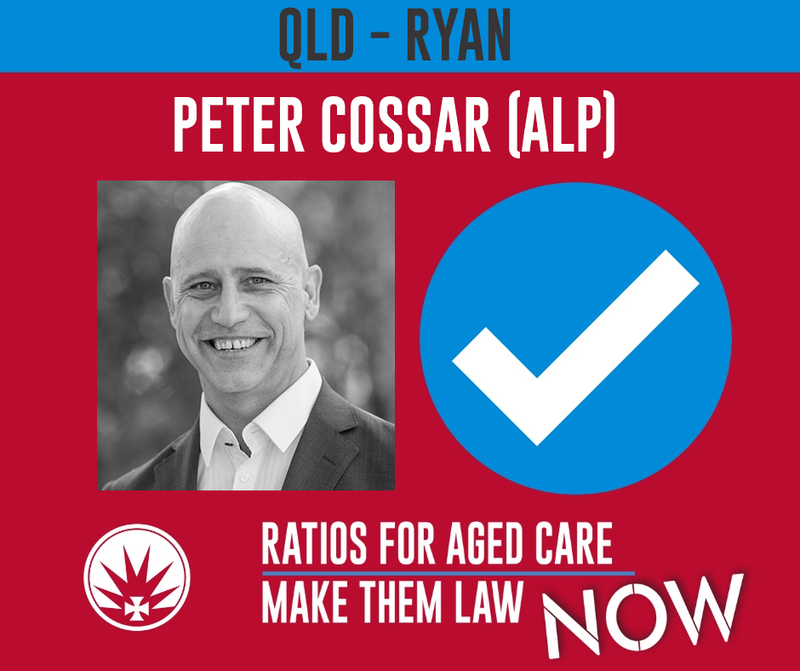 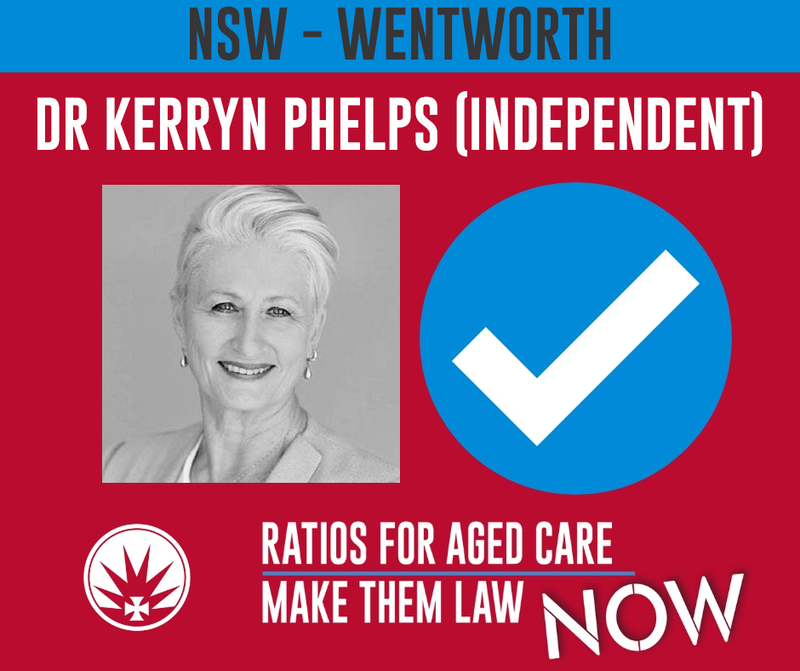 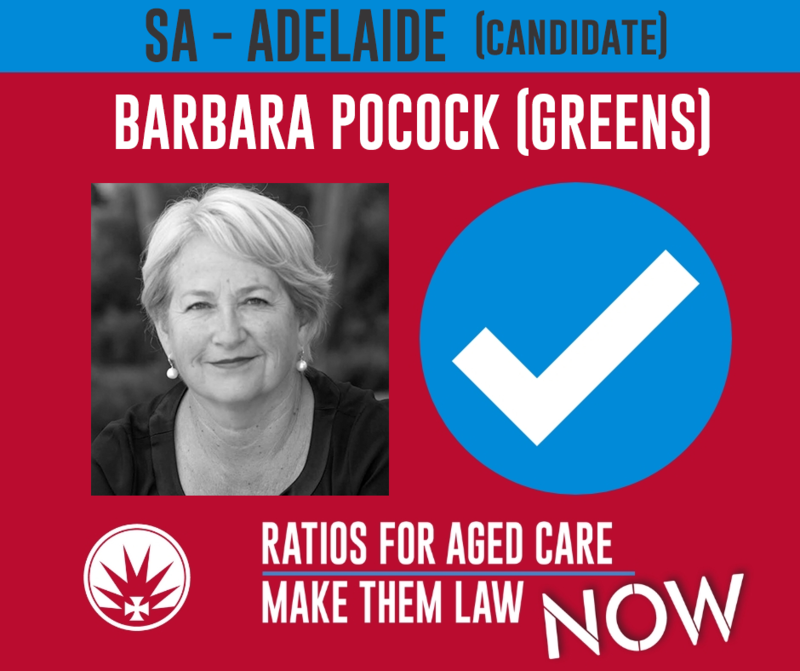 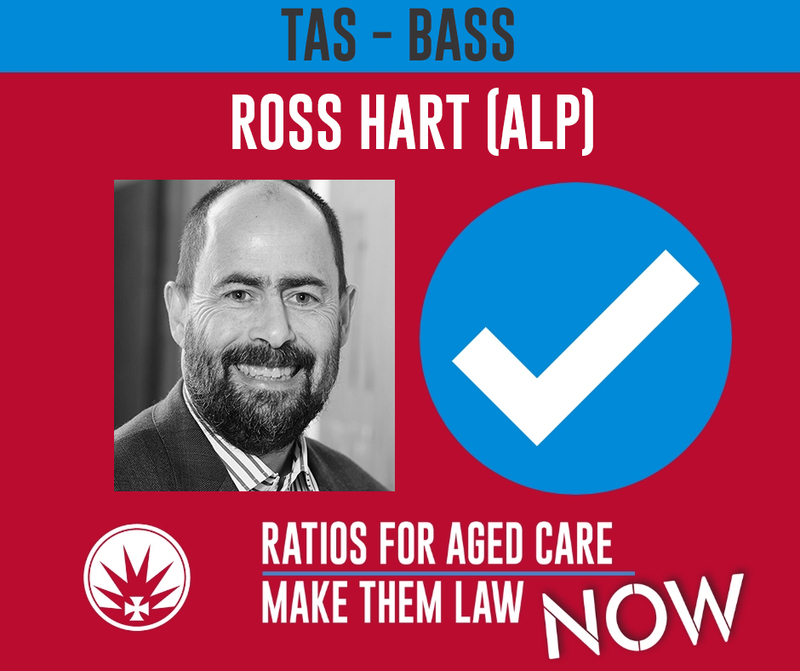 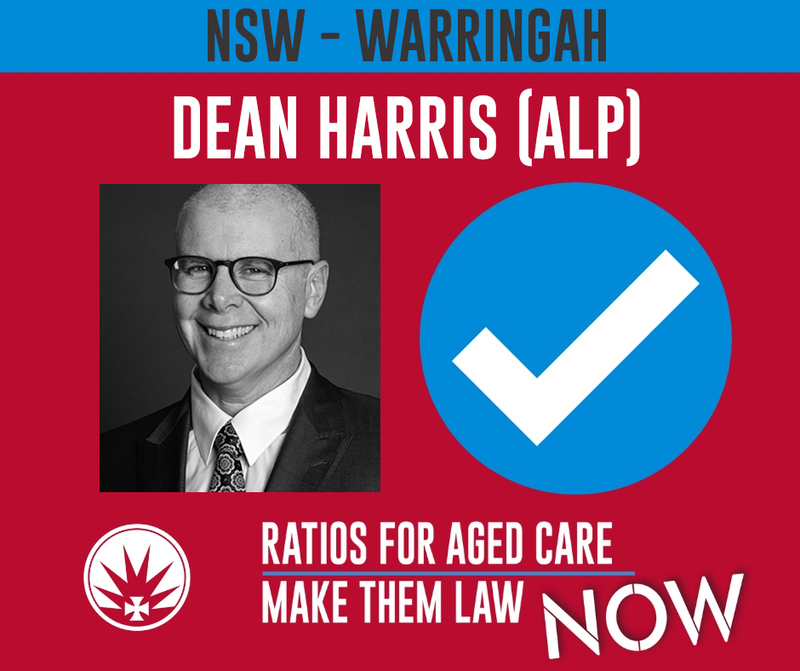 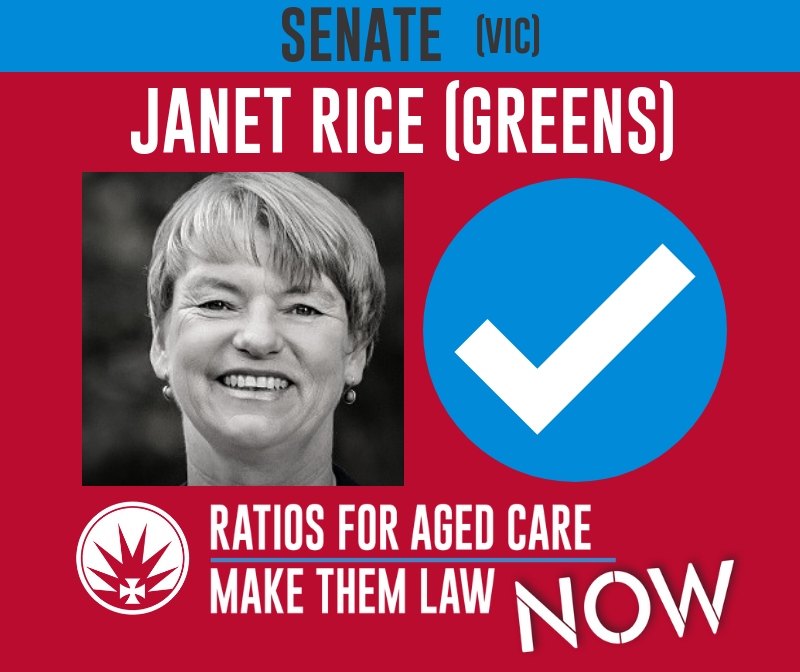 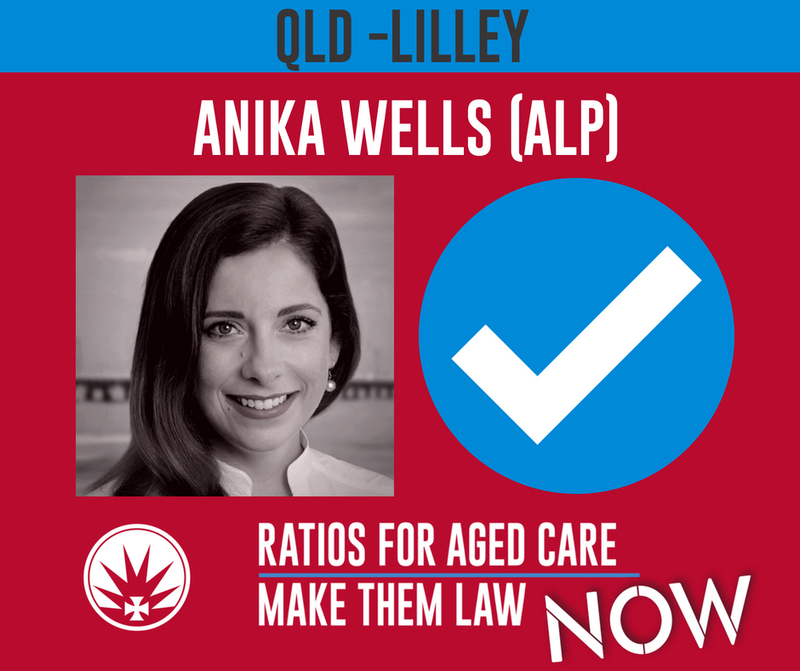 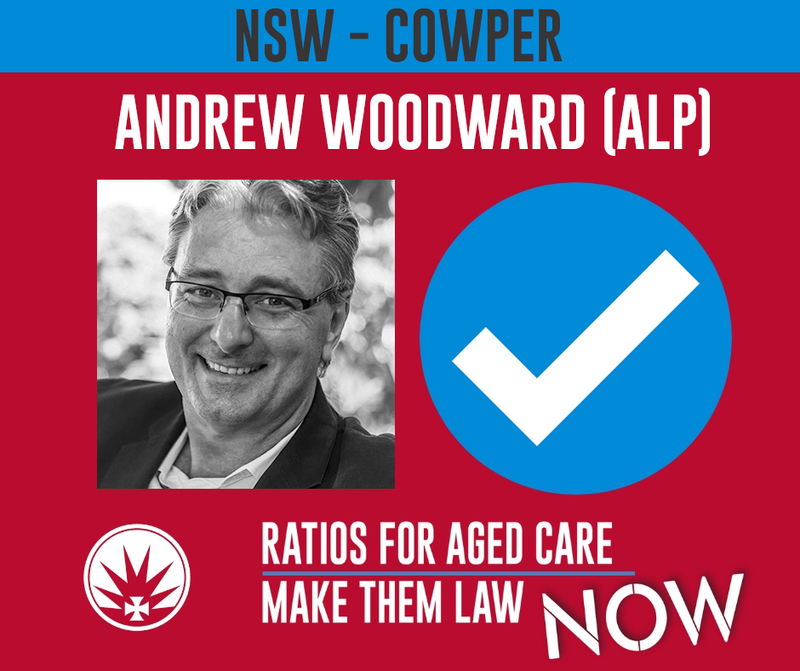 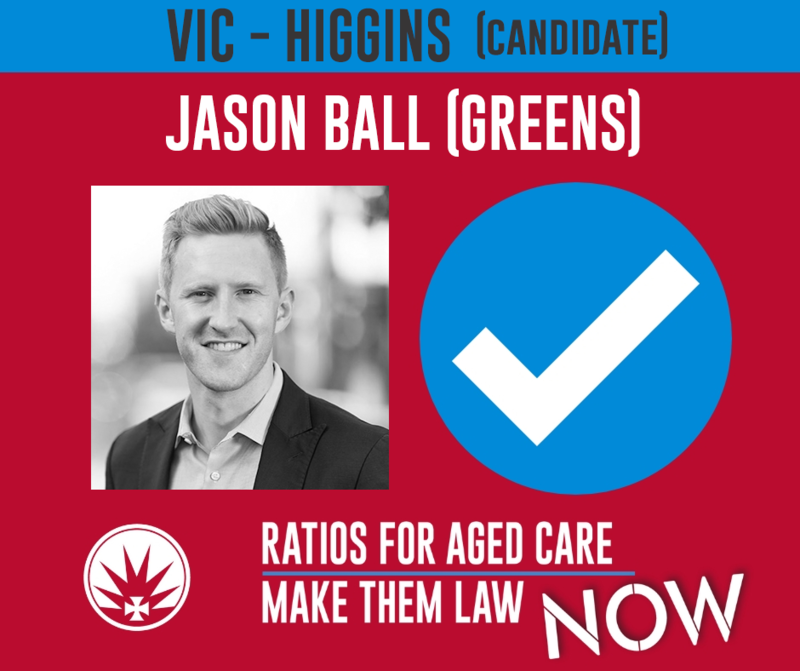 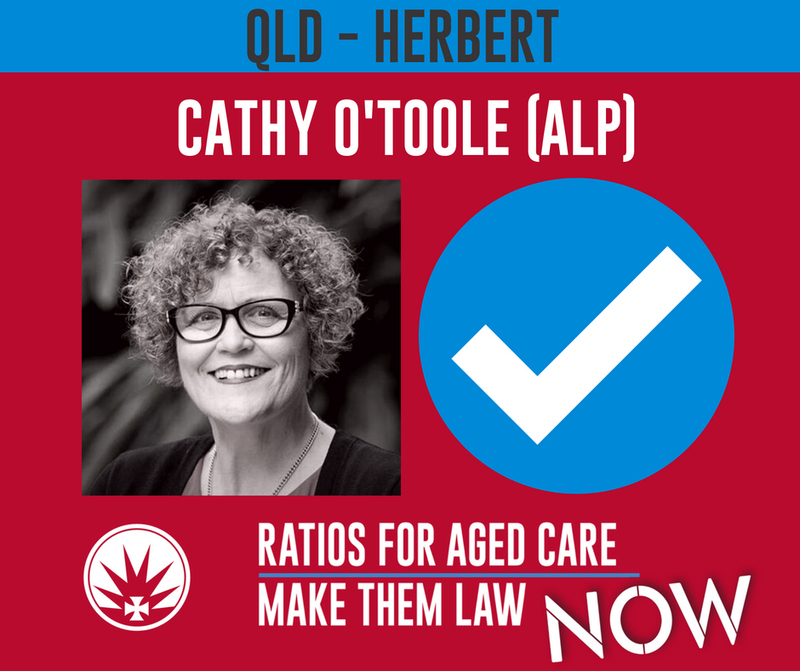 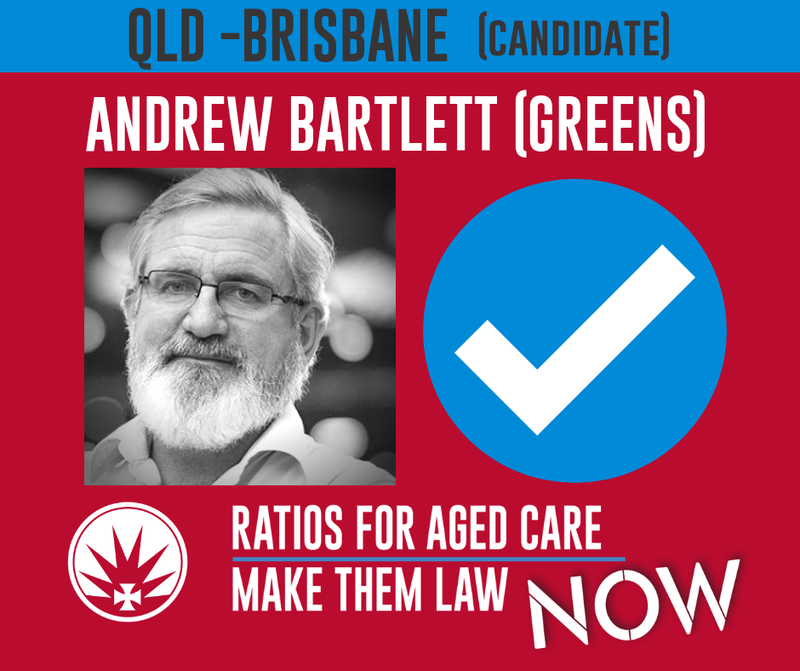 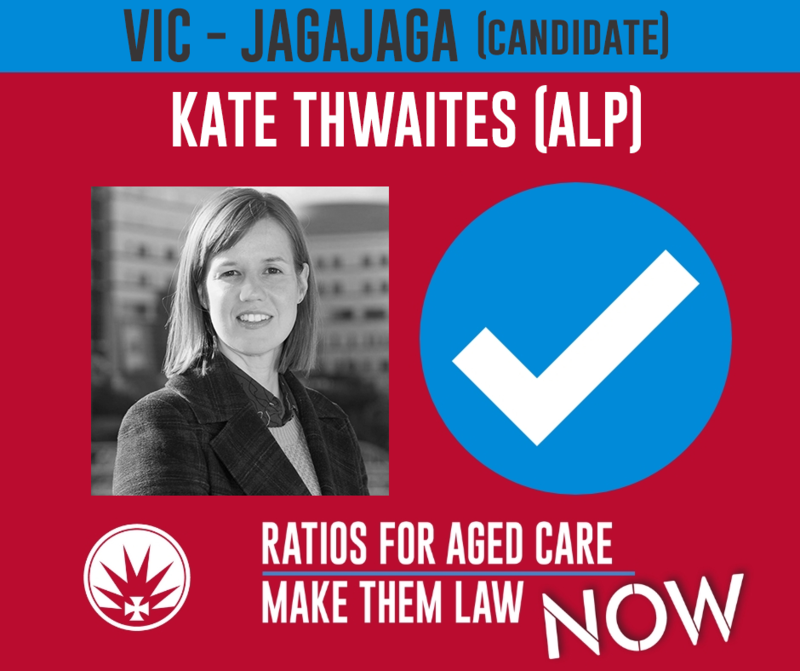 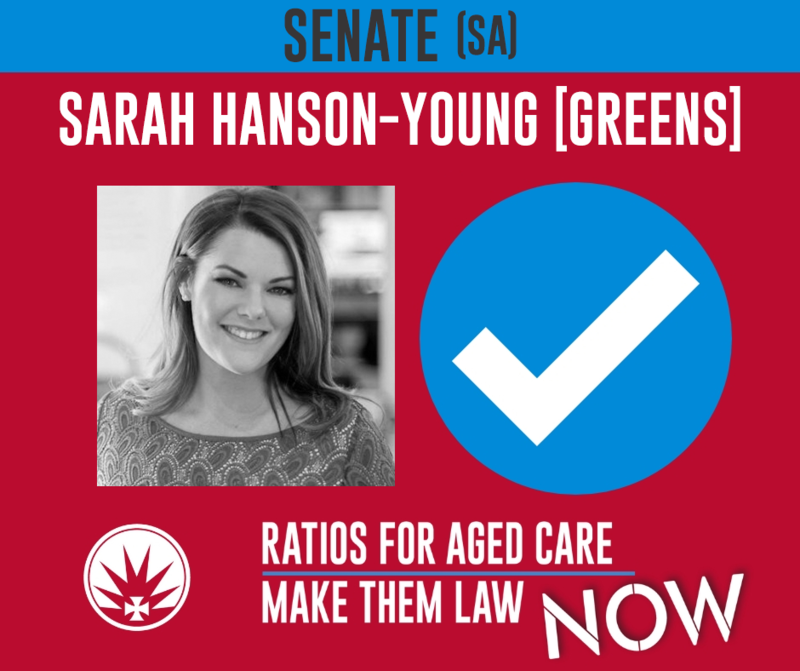 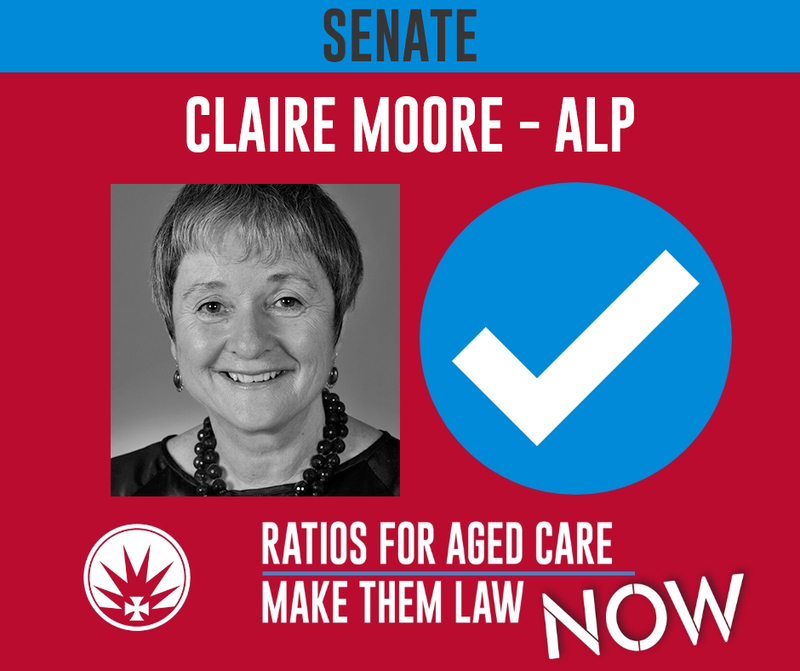 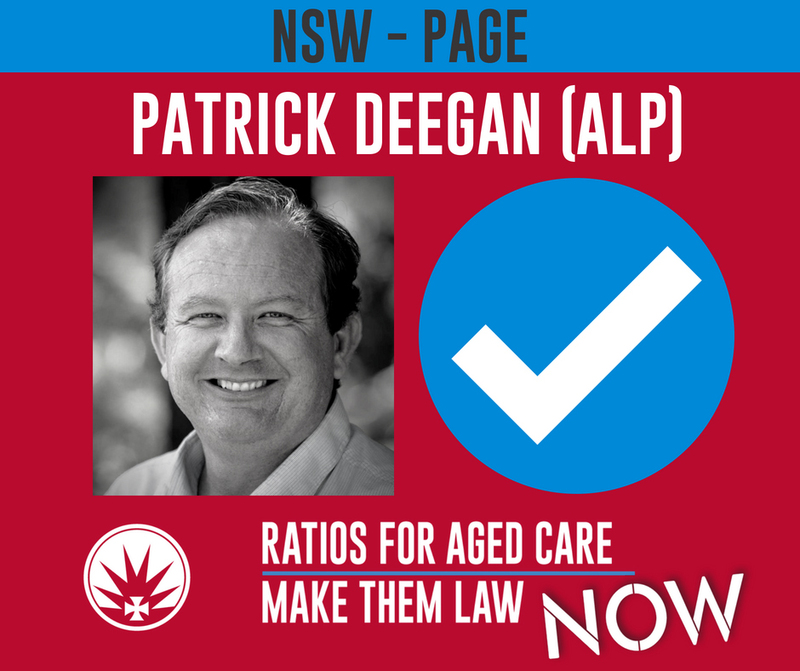 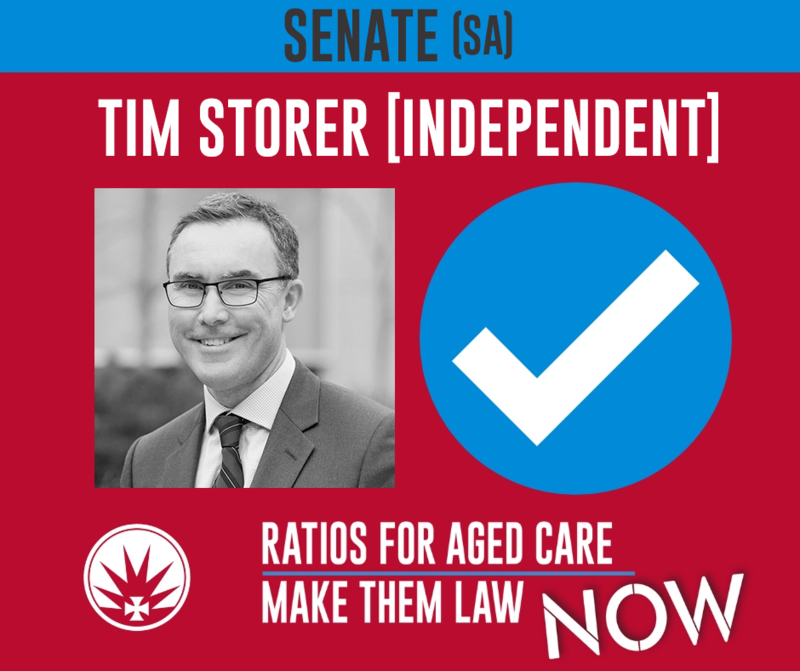 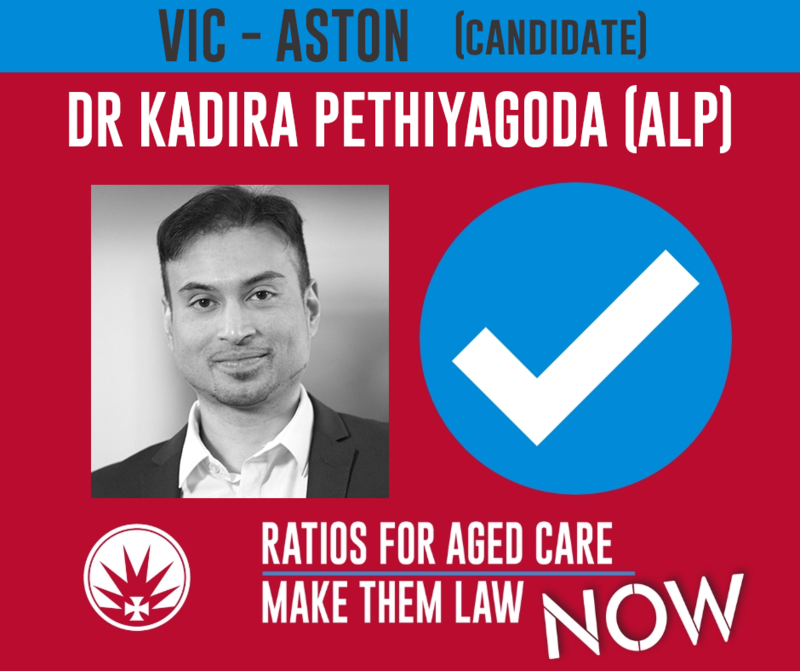 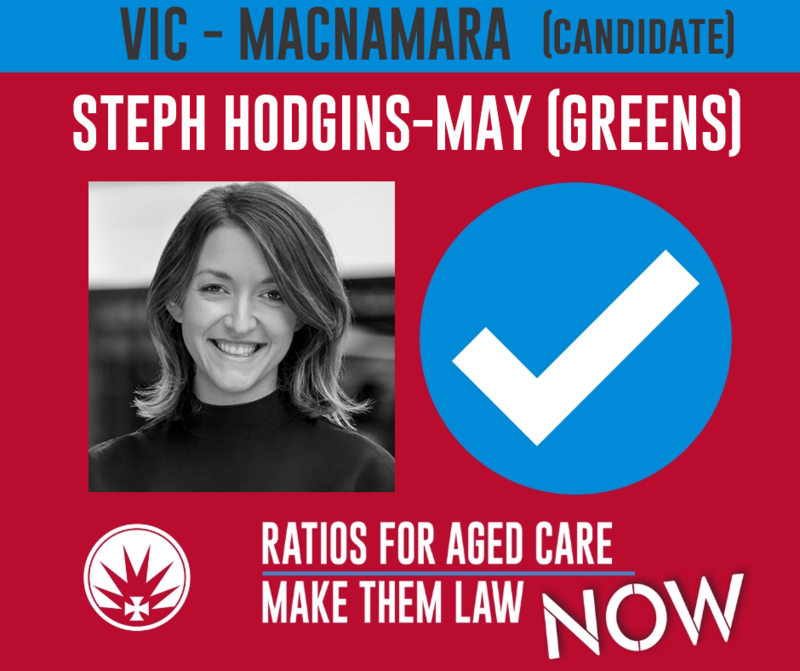 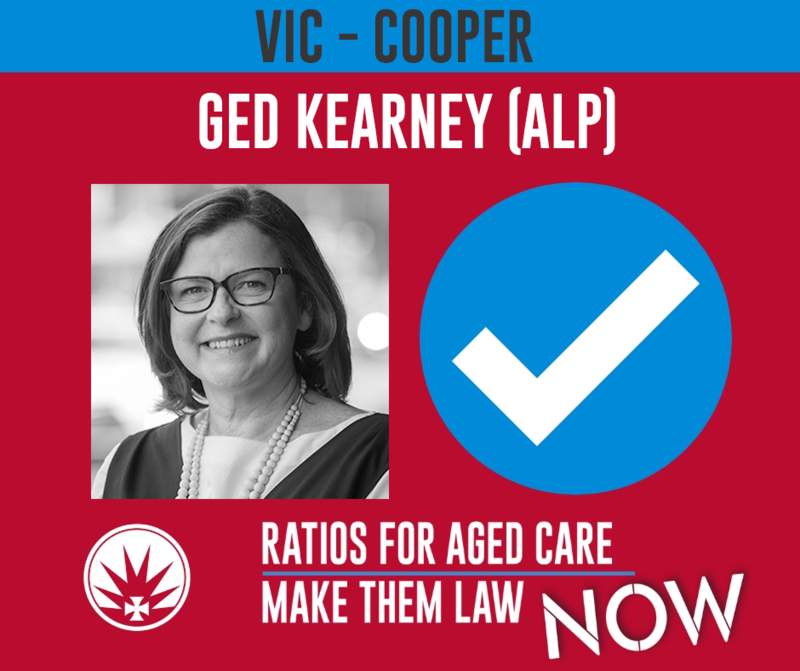 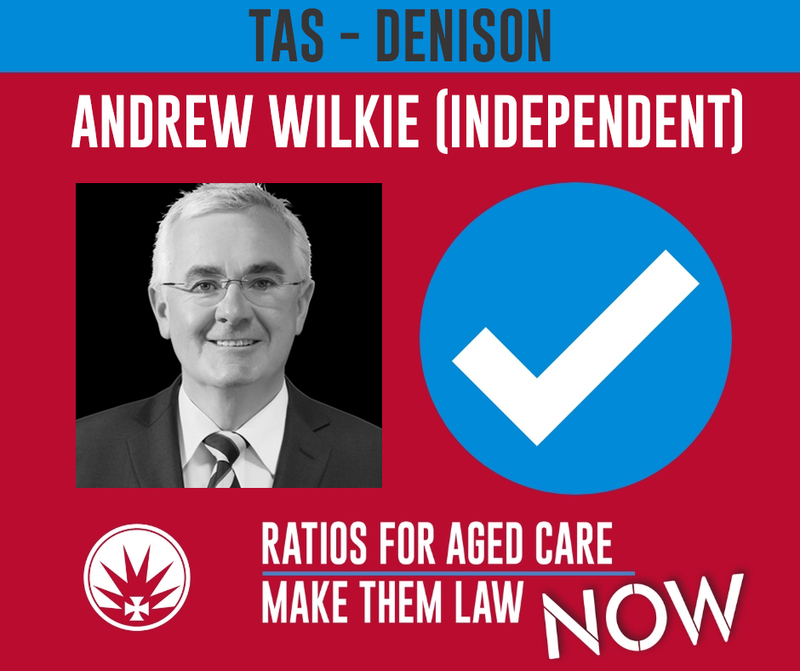 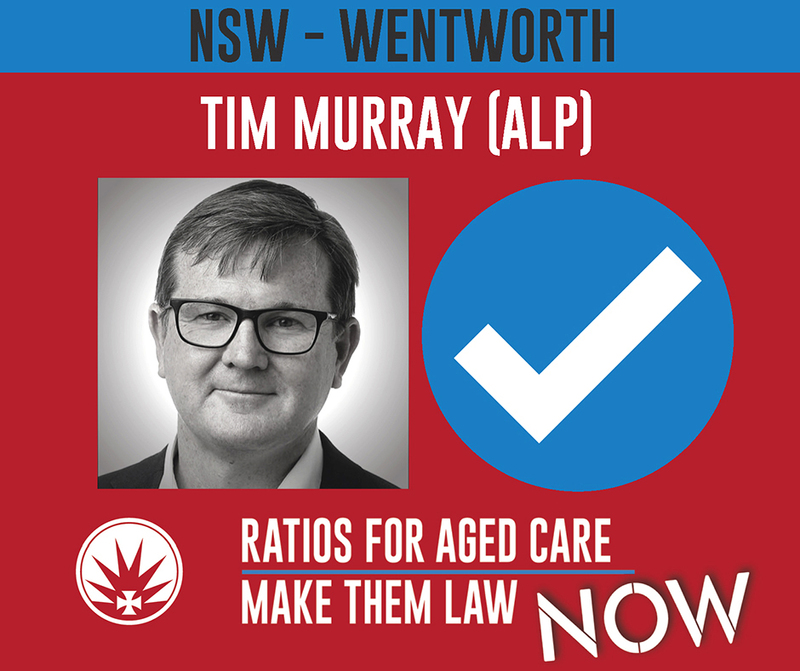 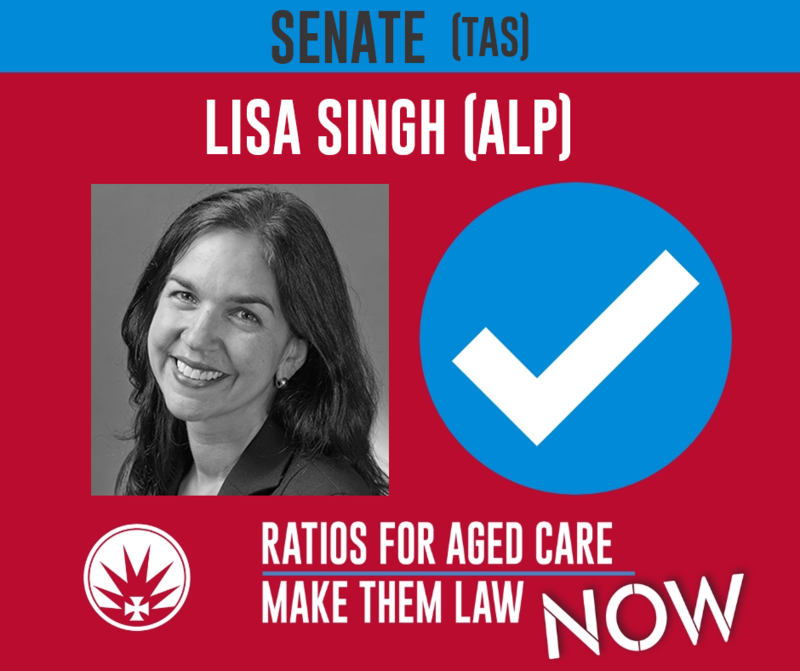 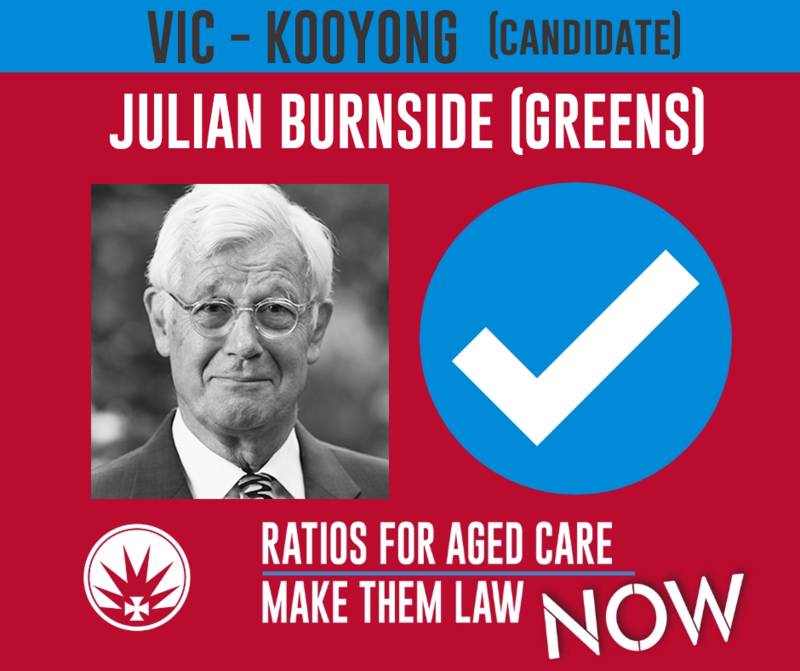 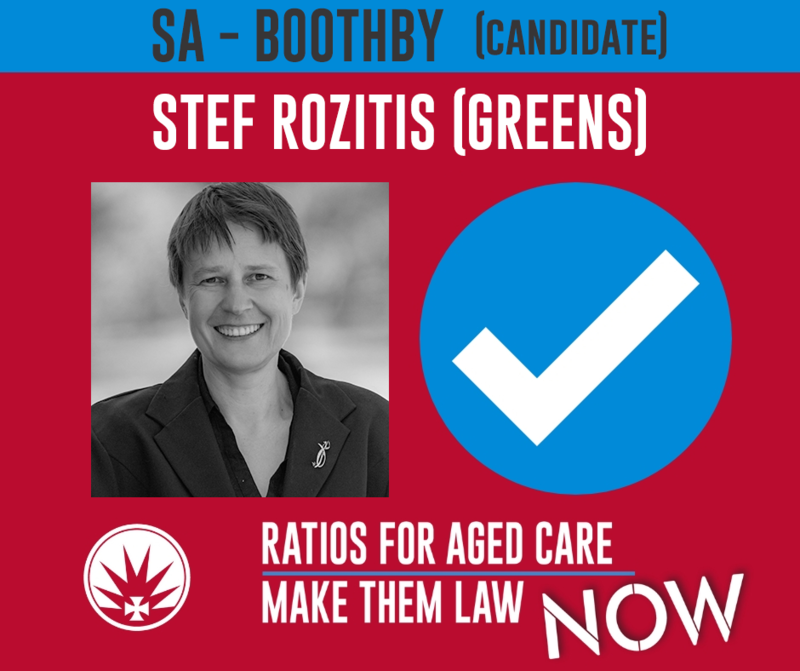 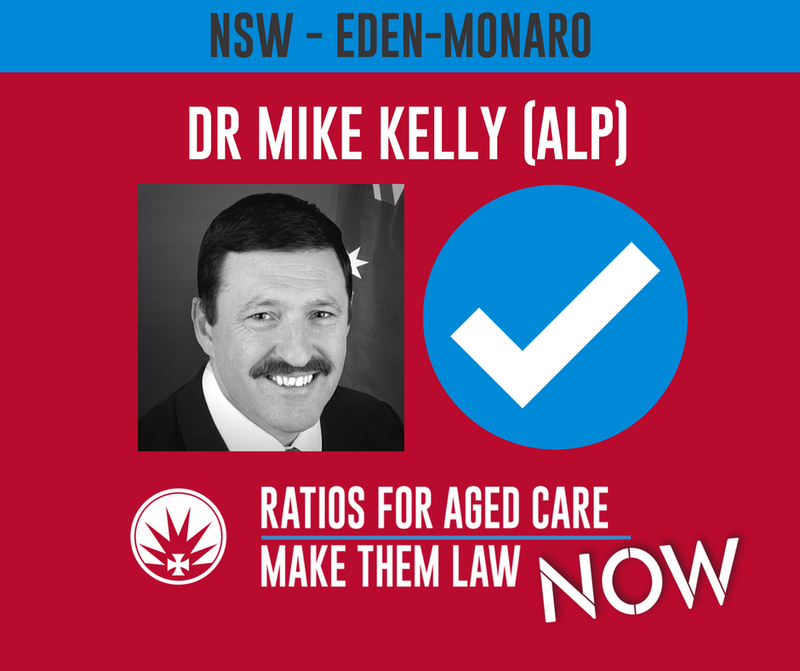 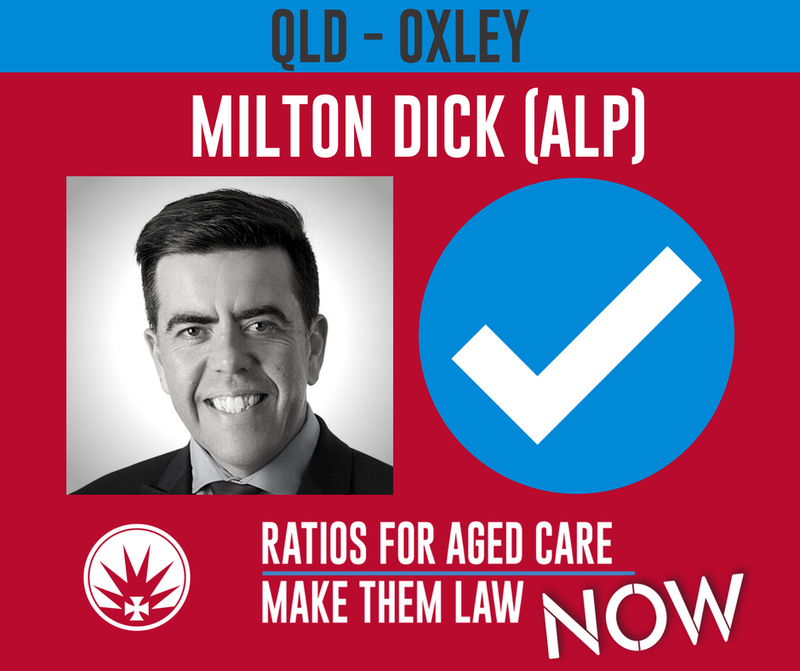 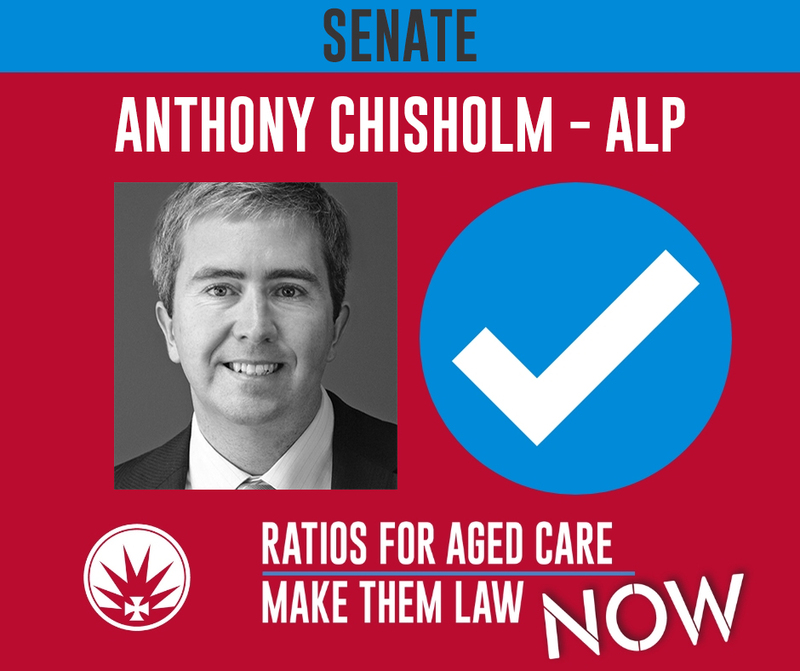 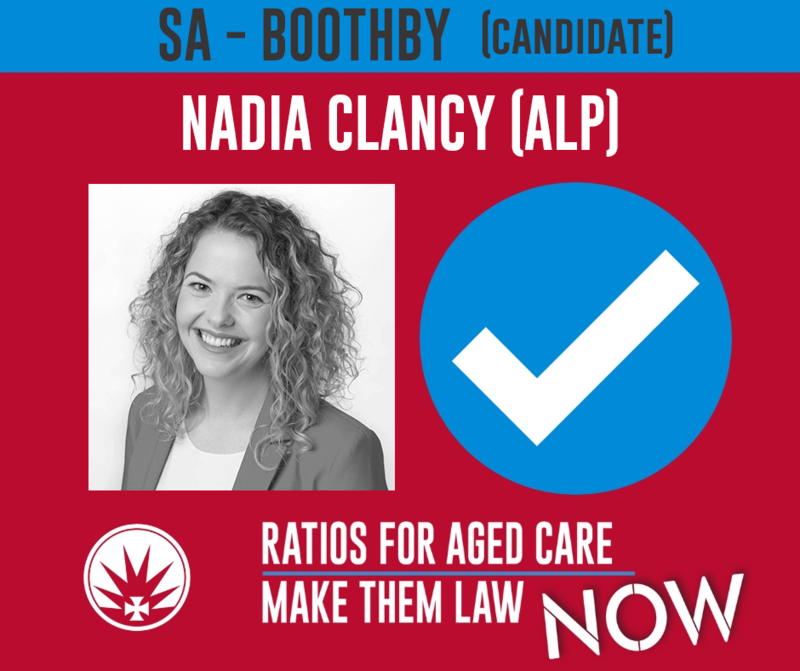 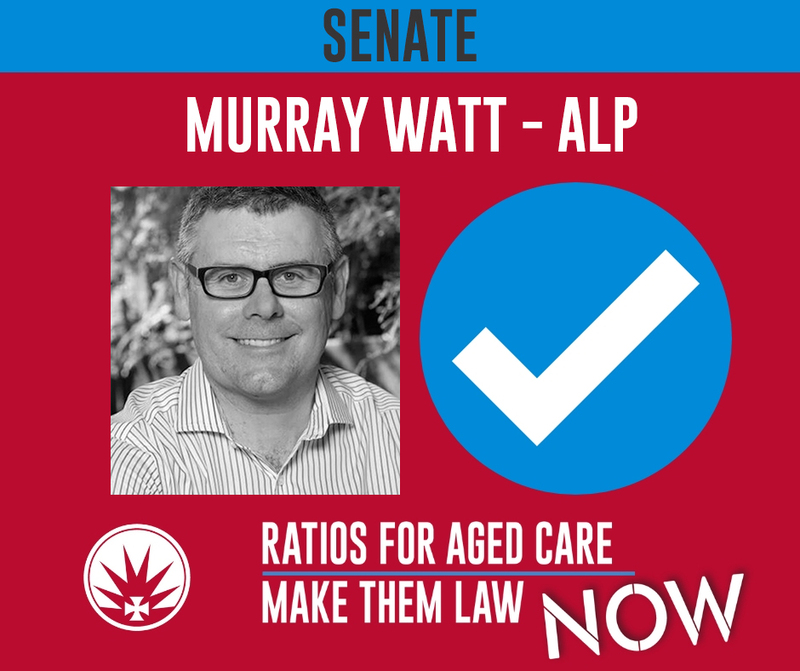 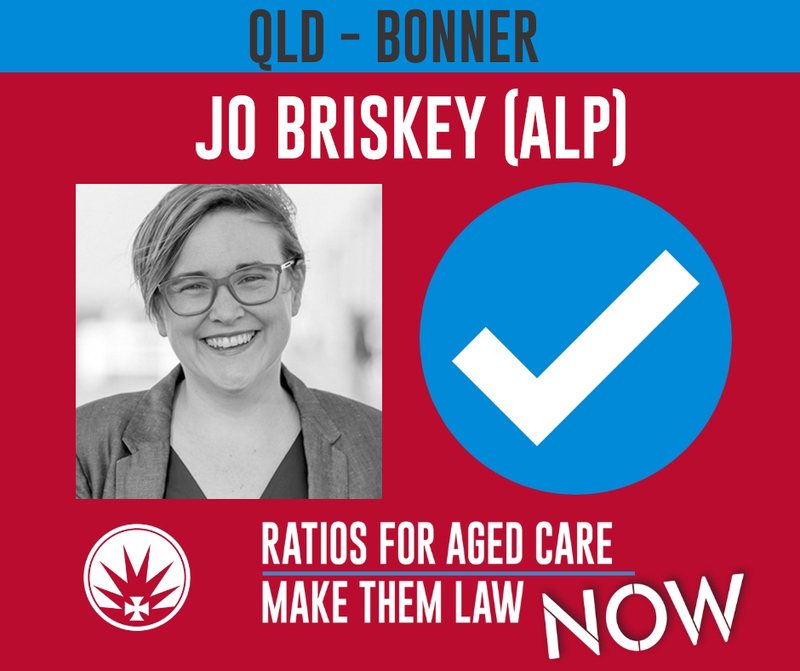 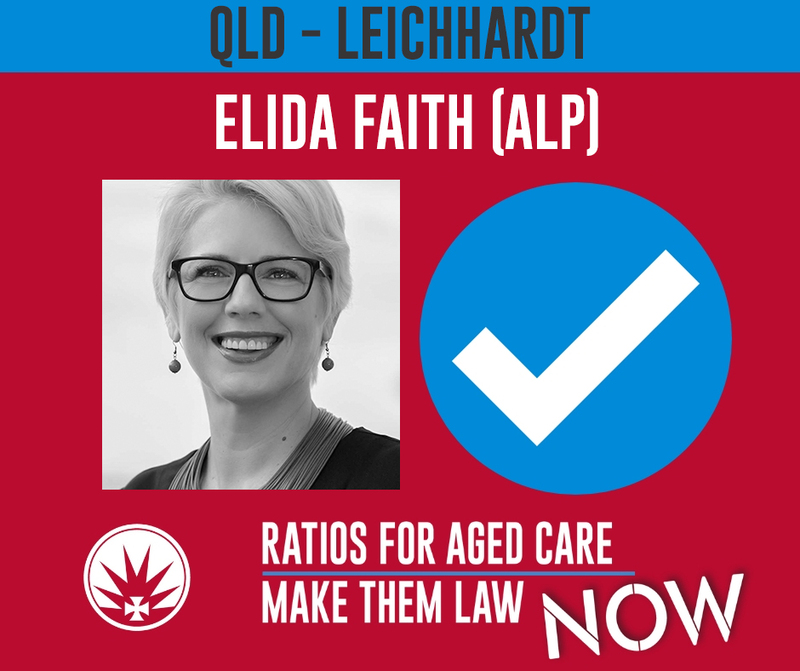 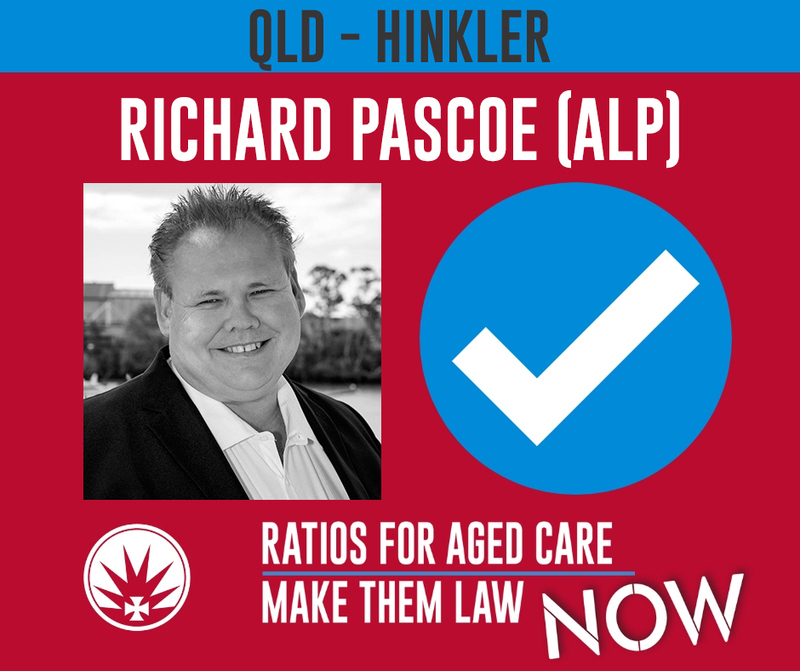 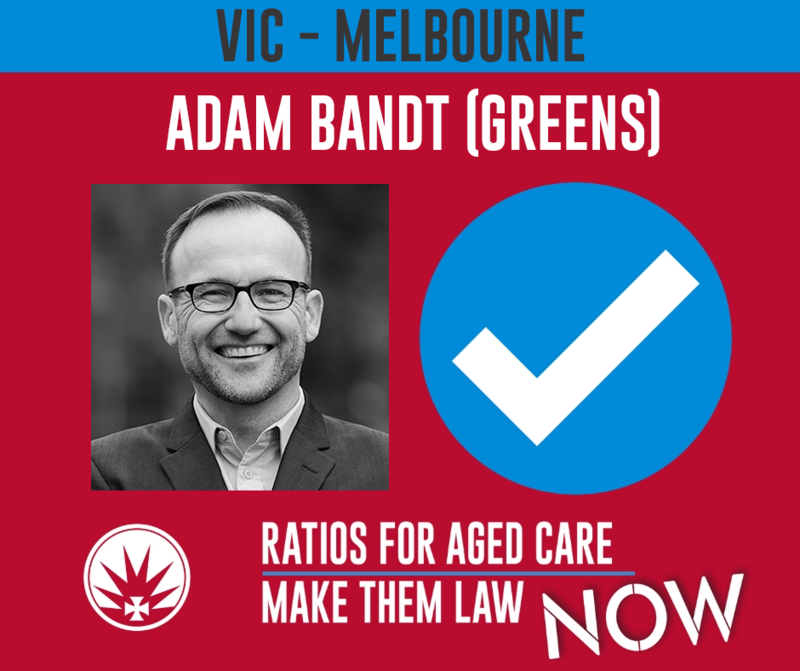 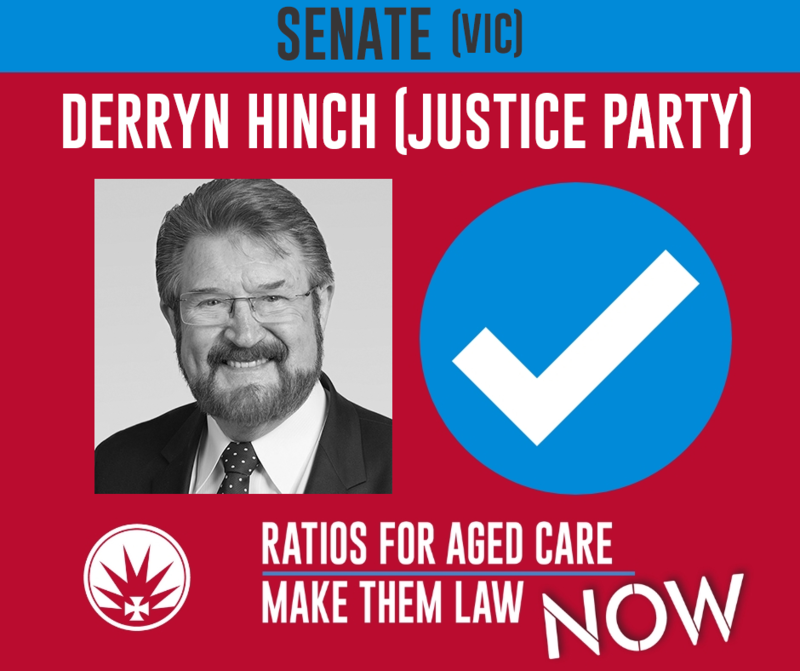 Who has pledged to support ratios in aged care? 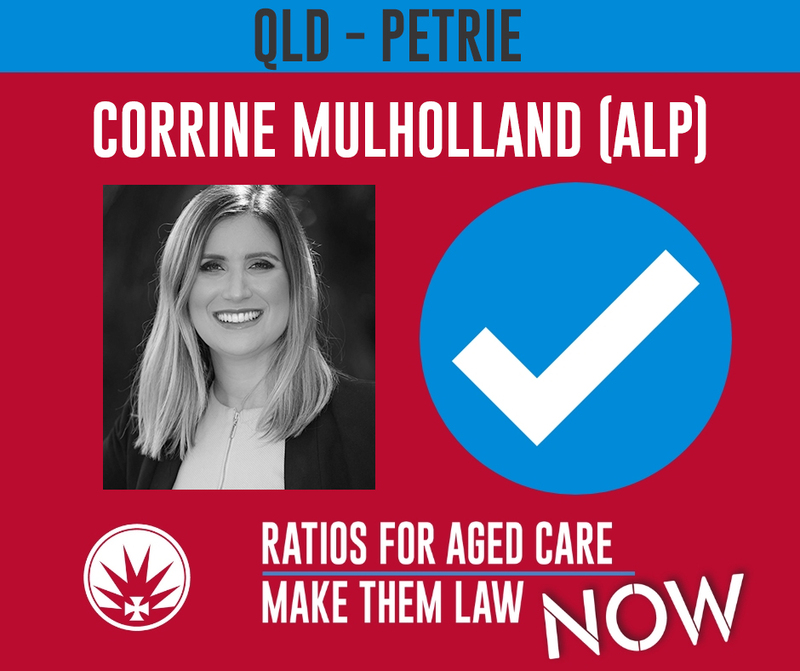 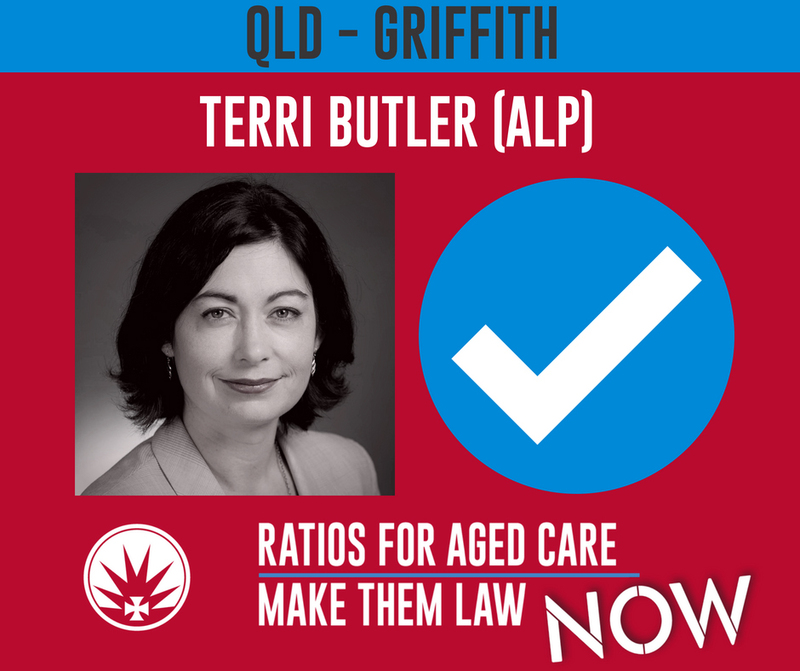 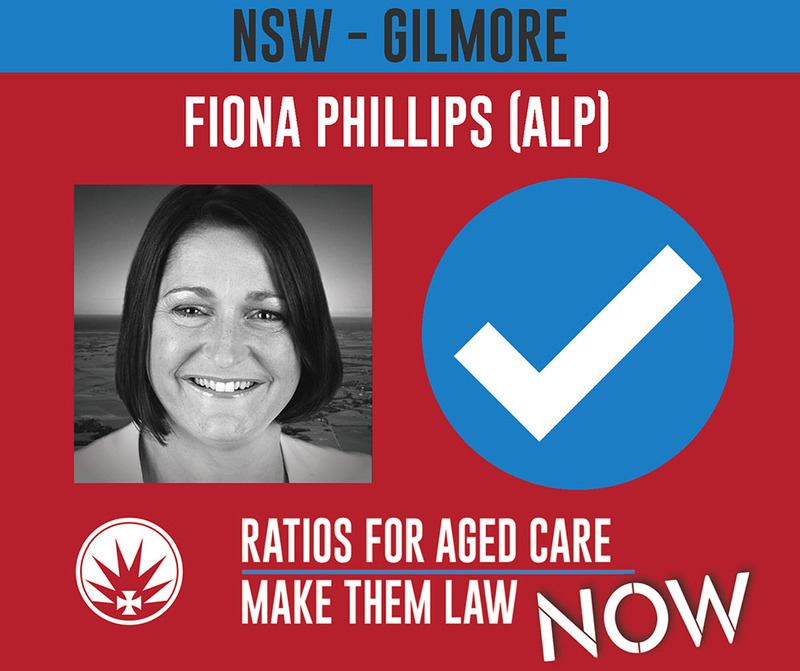 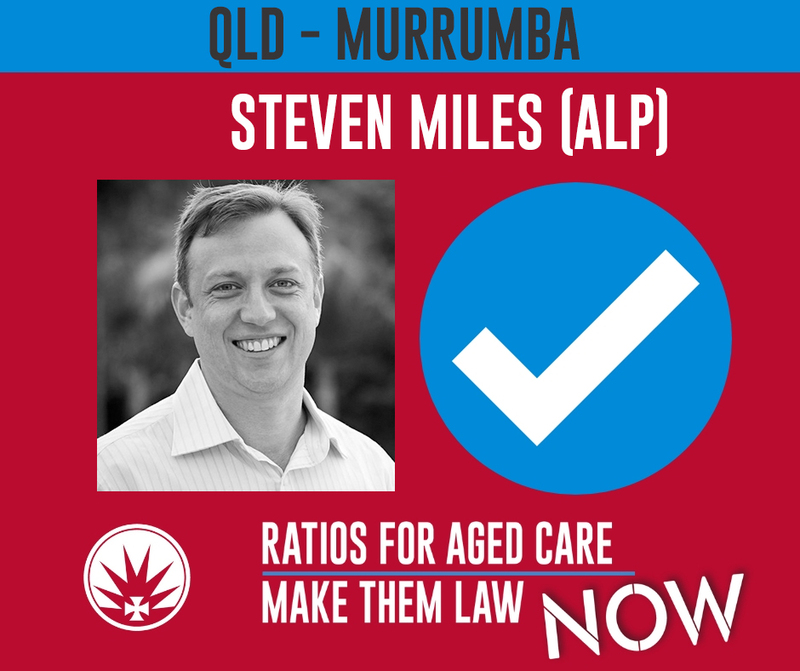 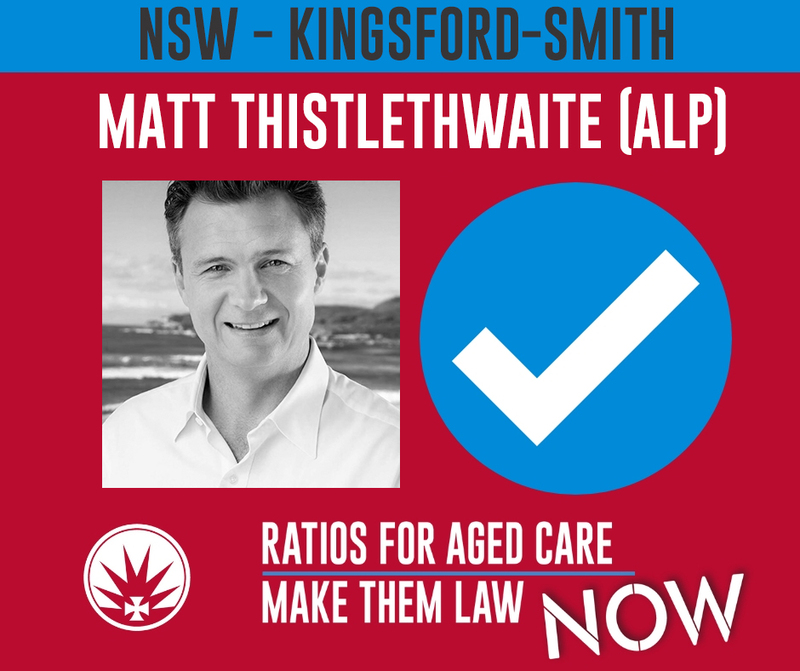 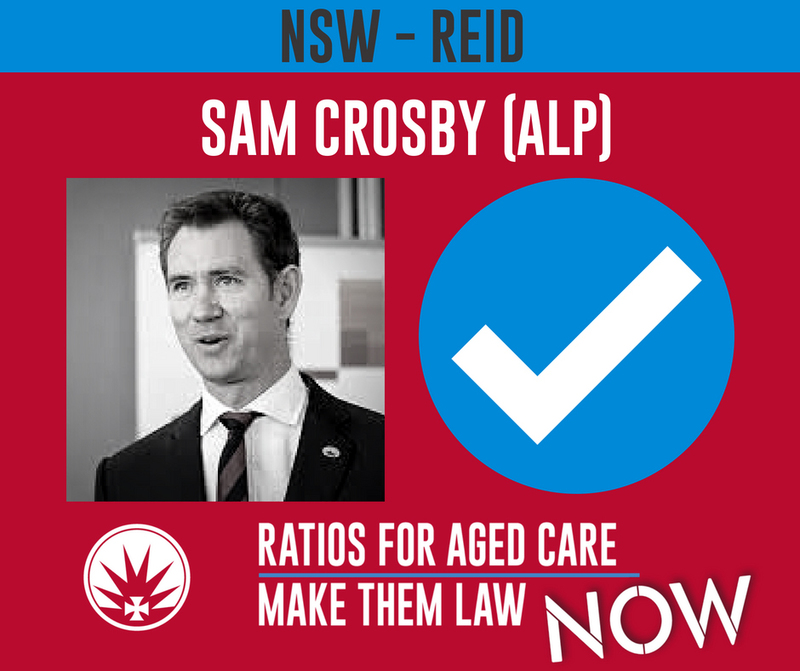 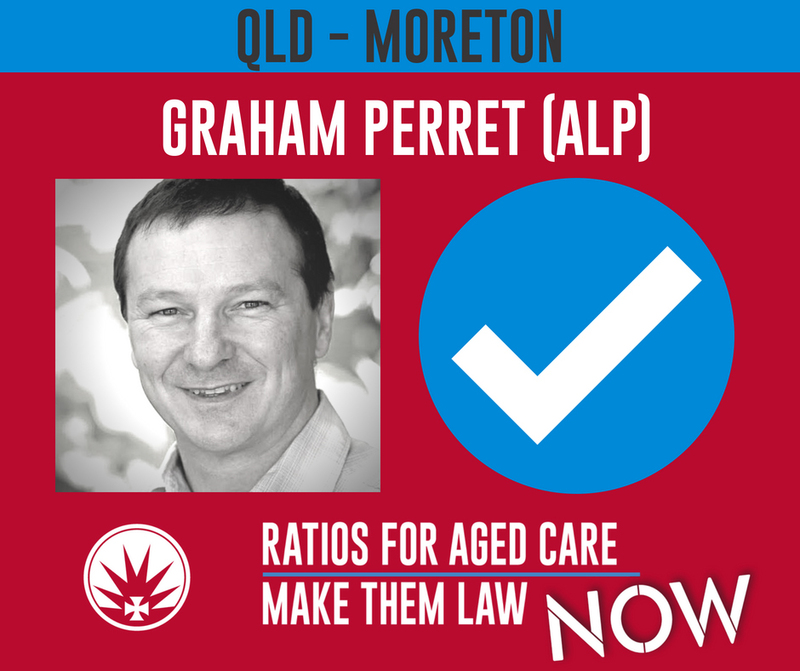 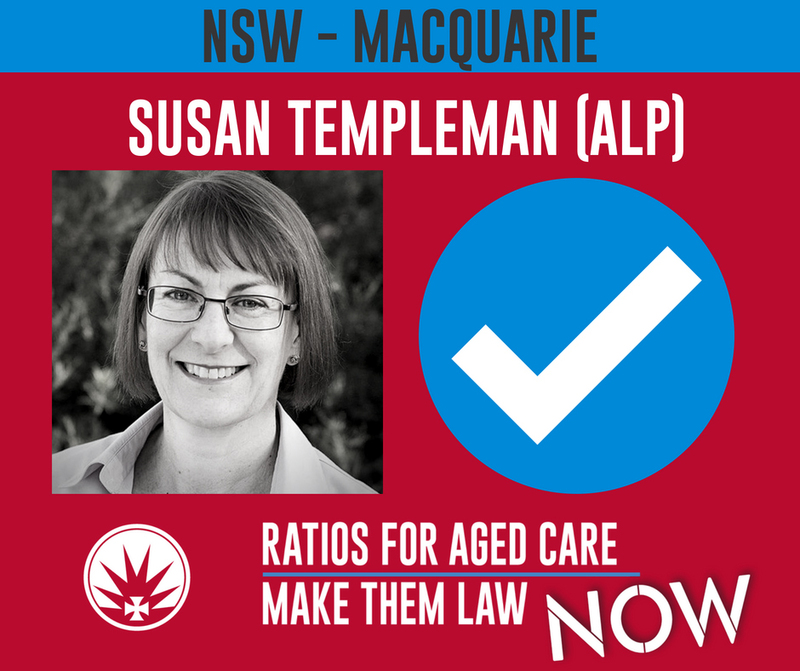 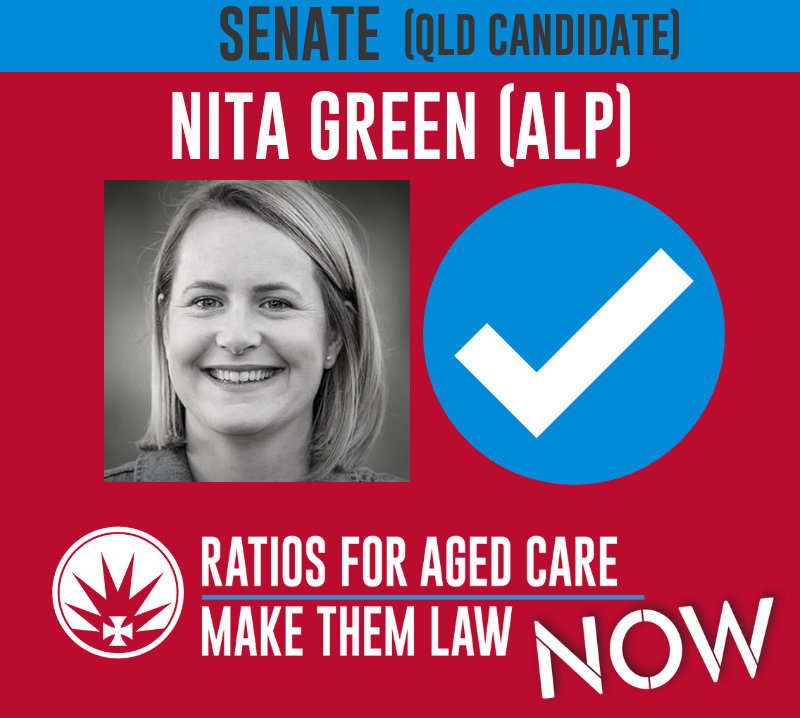 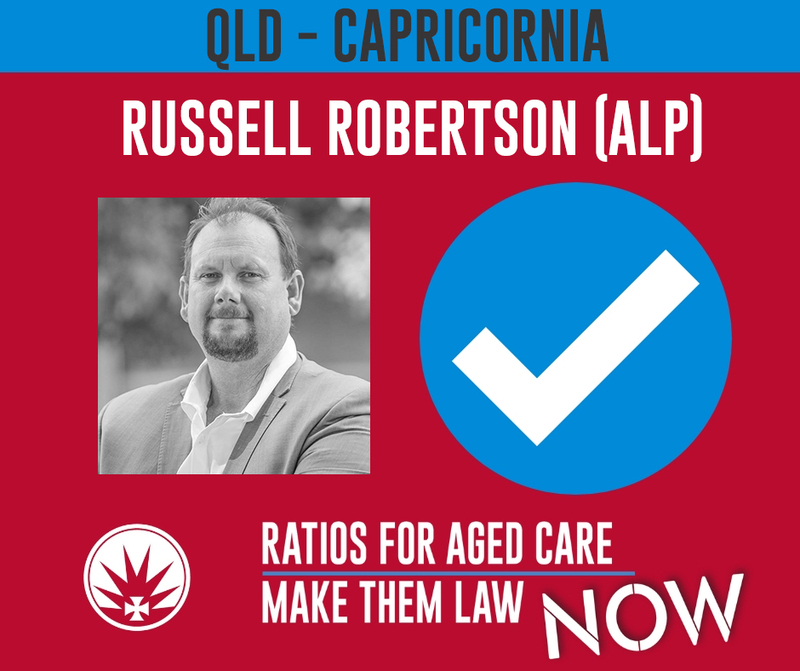 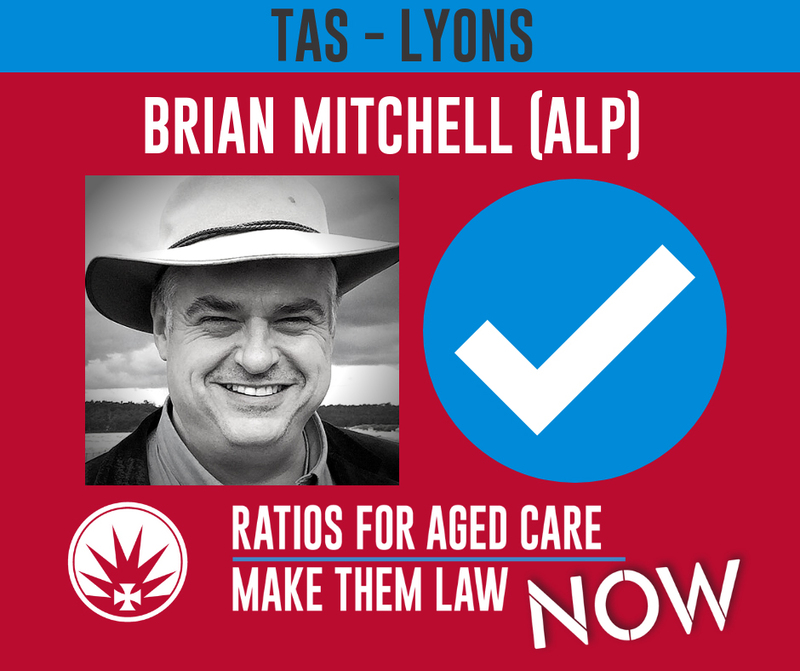 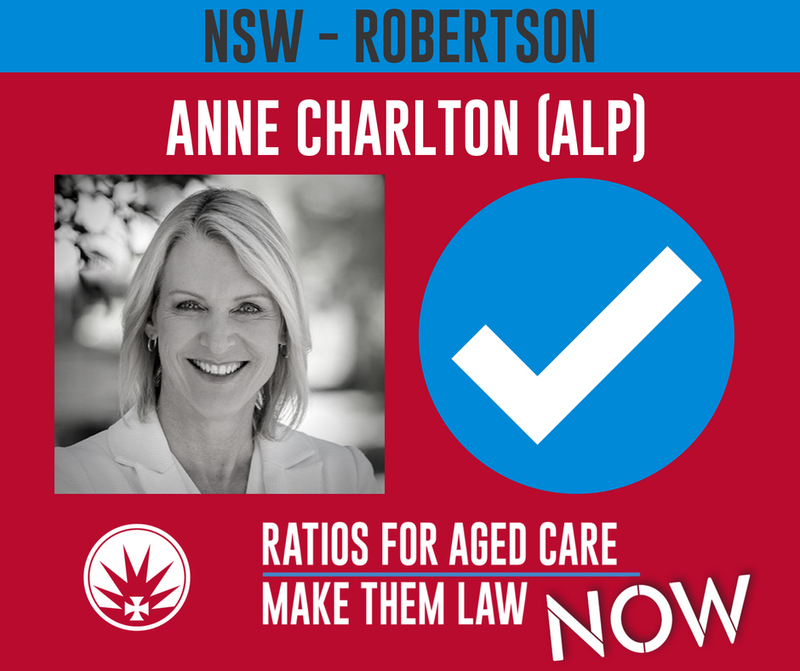 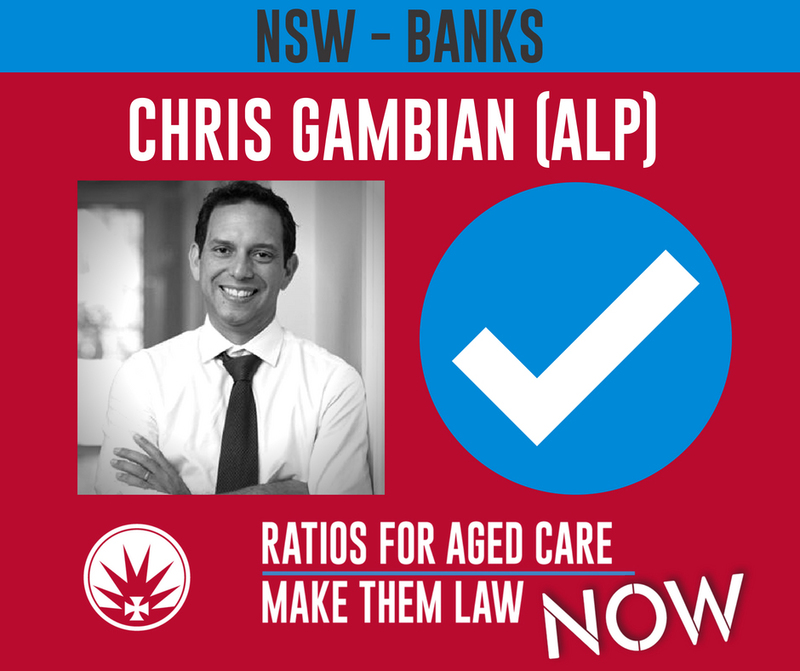 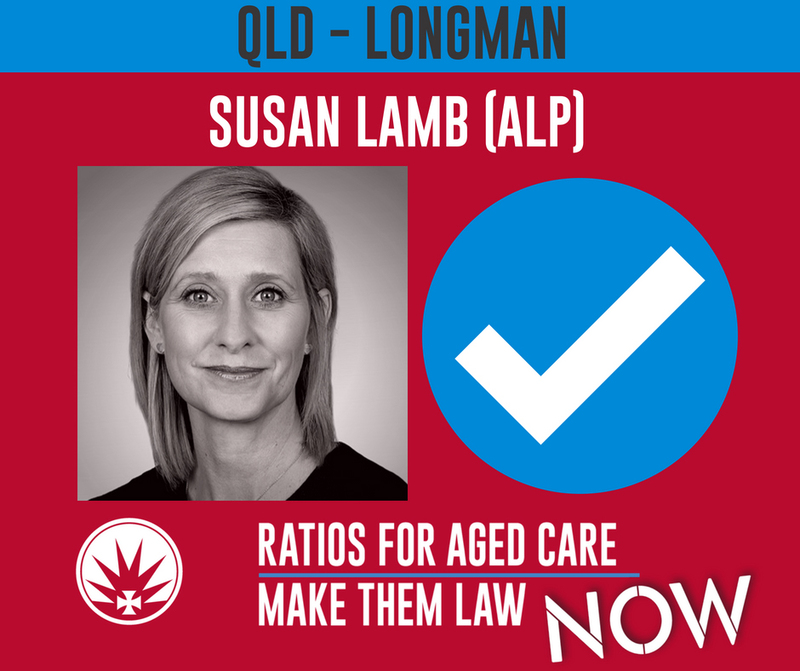 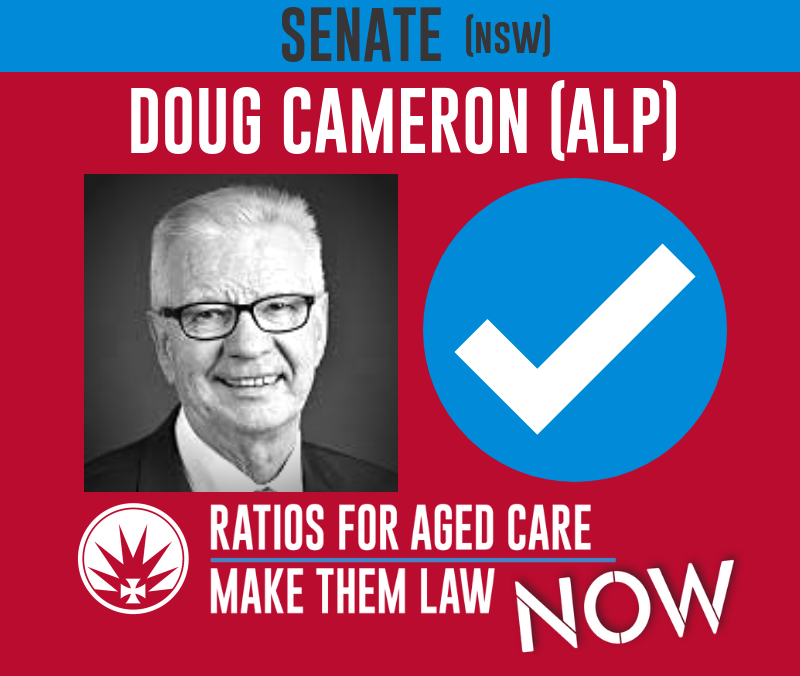 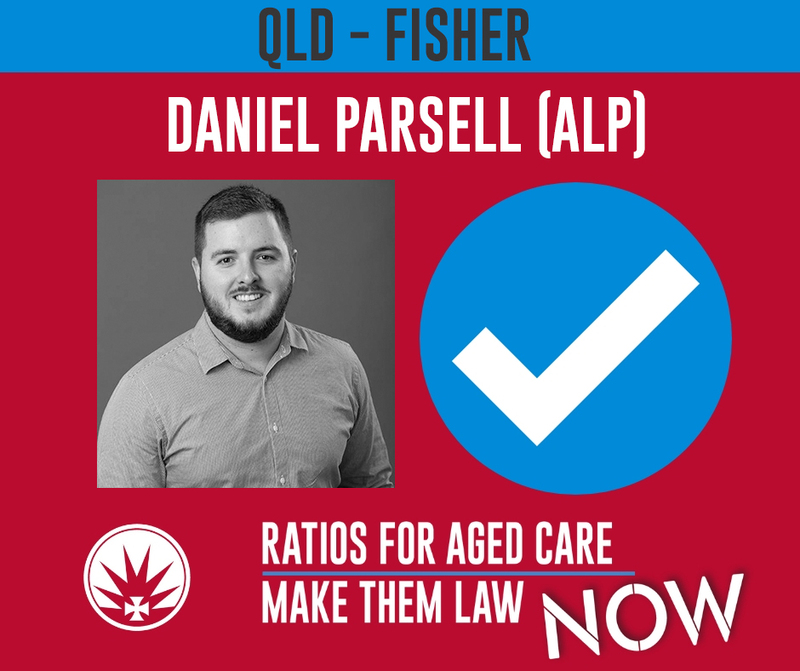 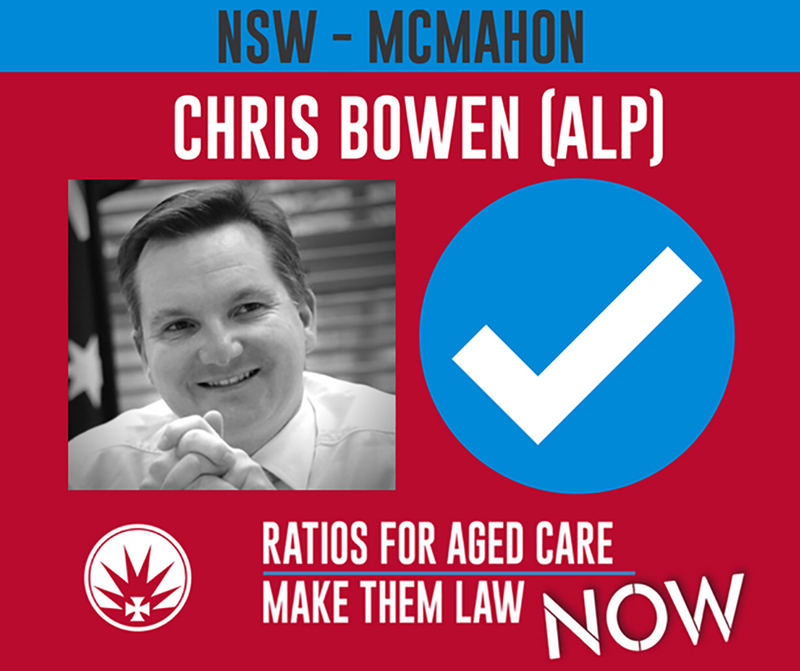 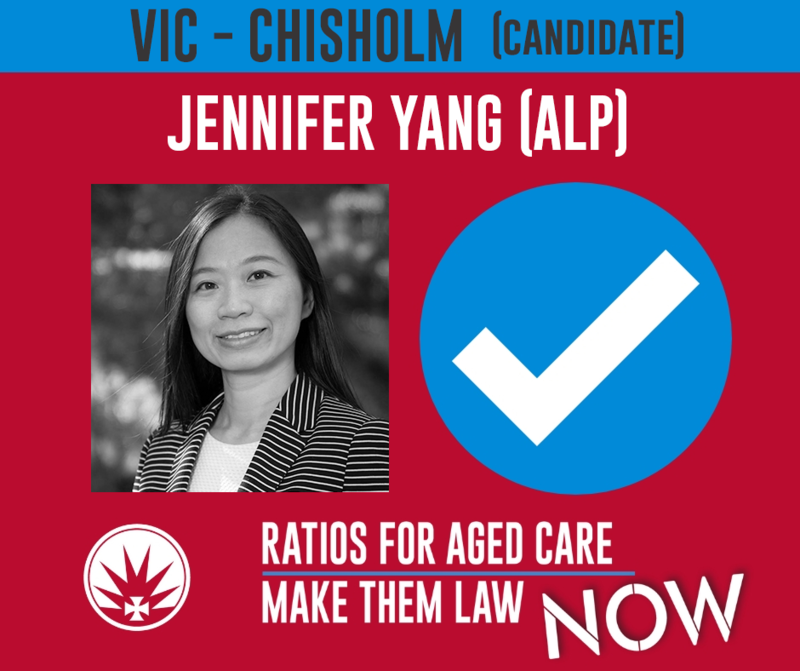 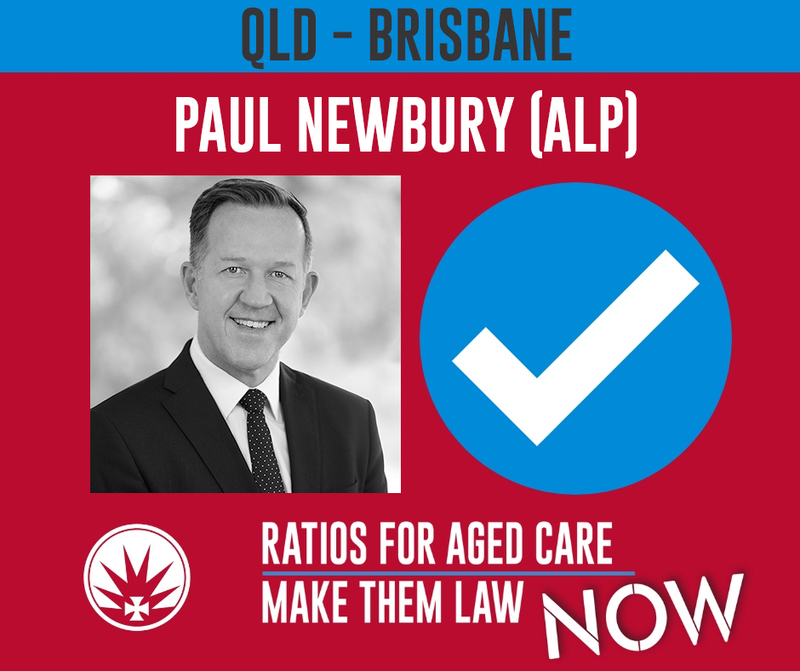 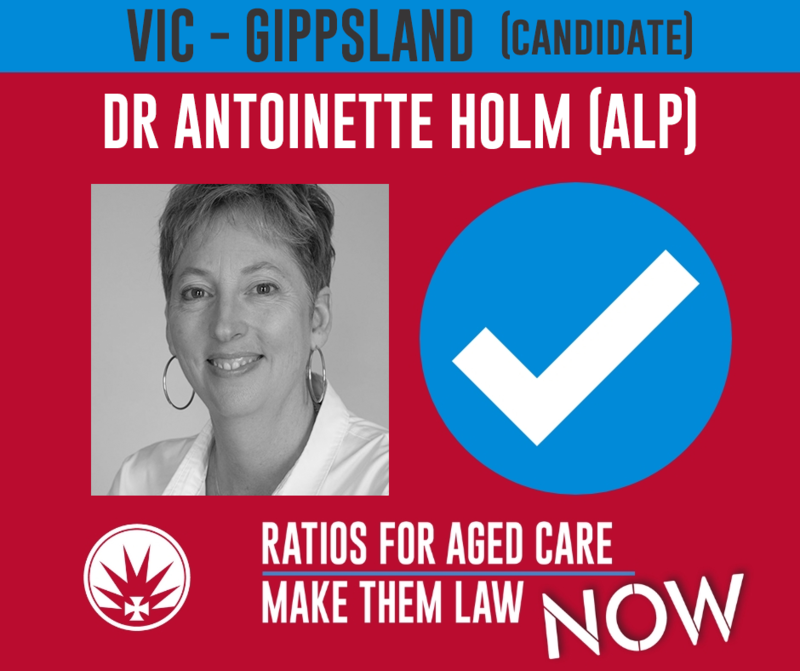 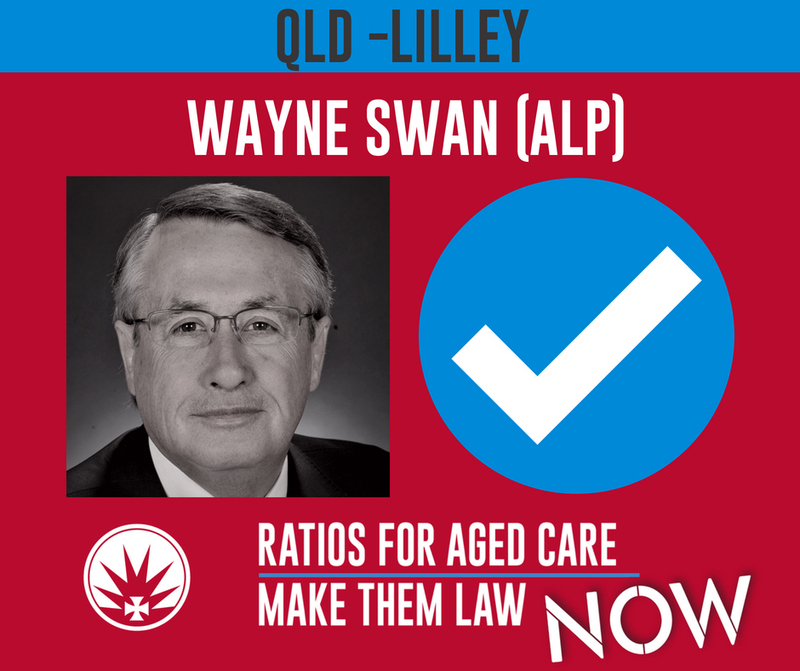 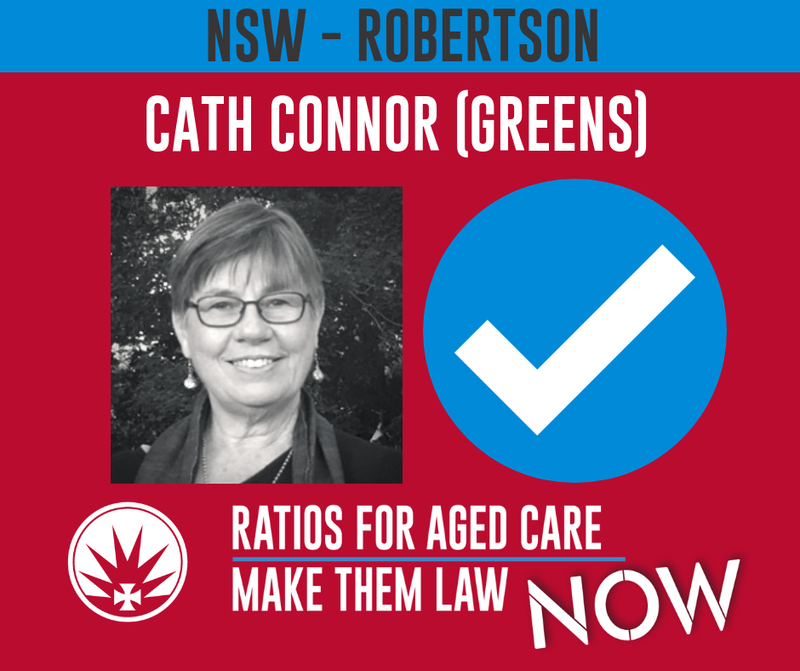 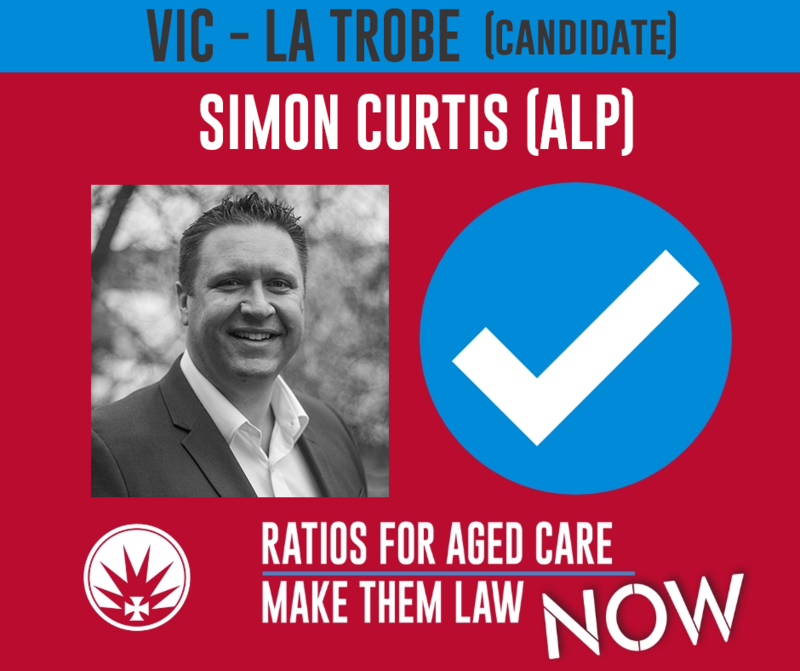 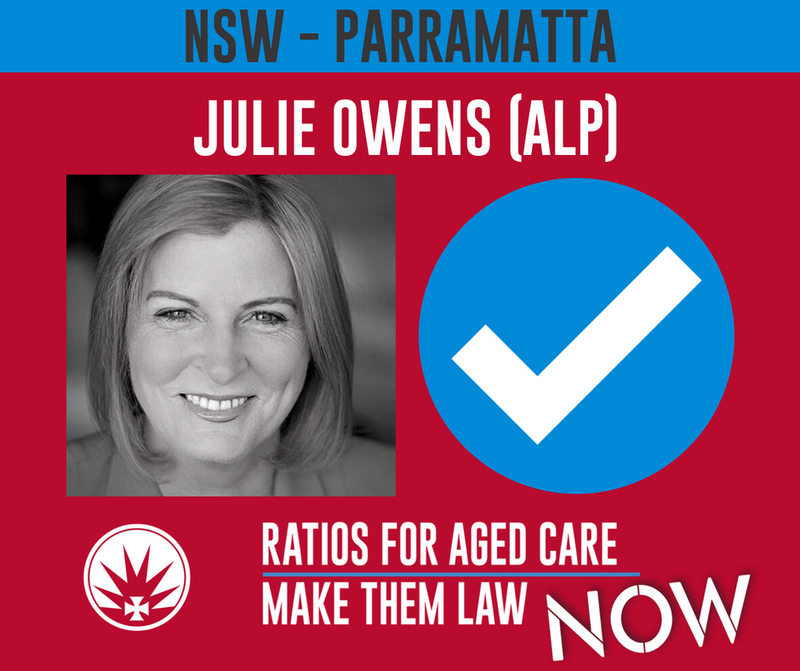 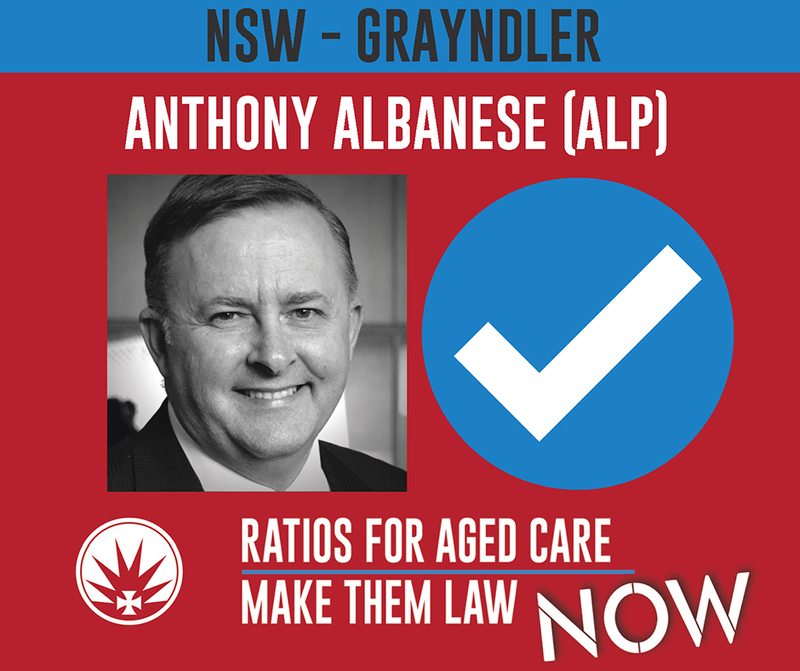 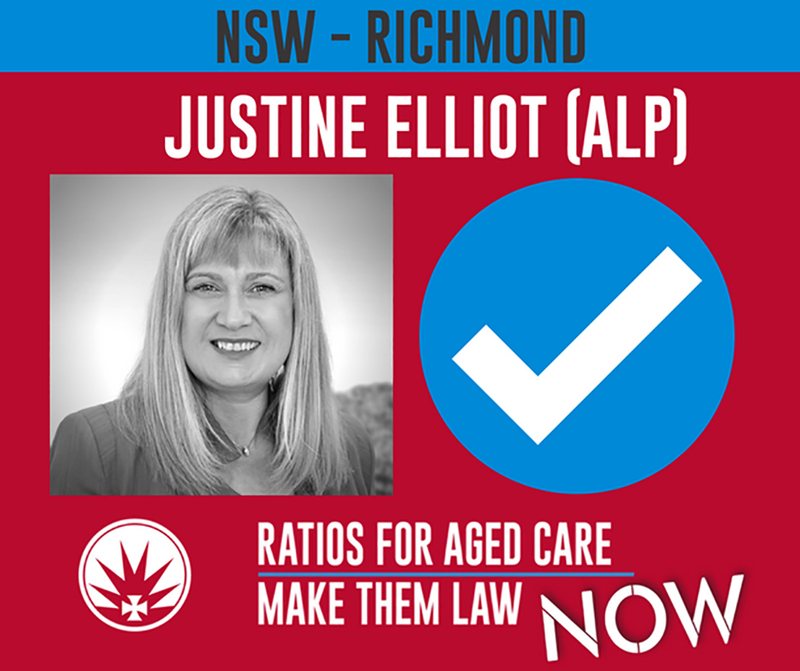 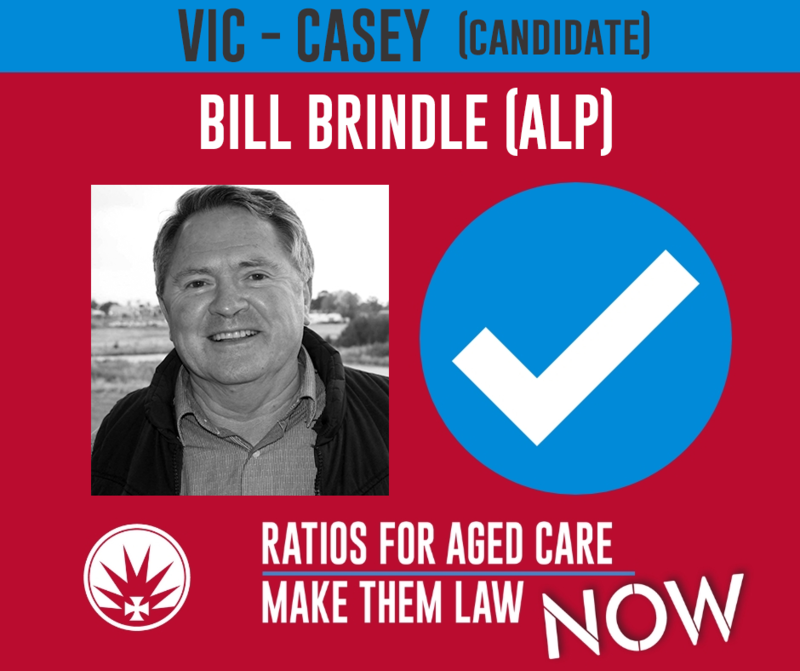 We need our federal politicians to take action and legislate minimum nurse-to-resident ratios in aged care now. 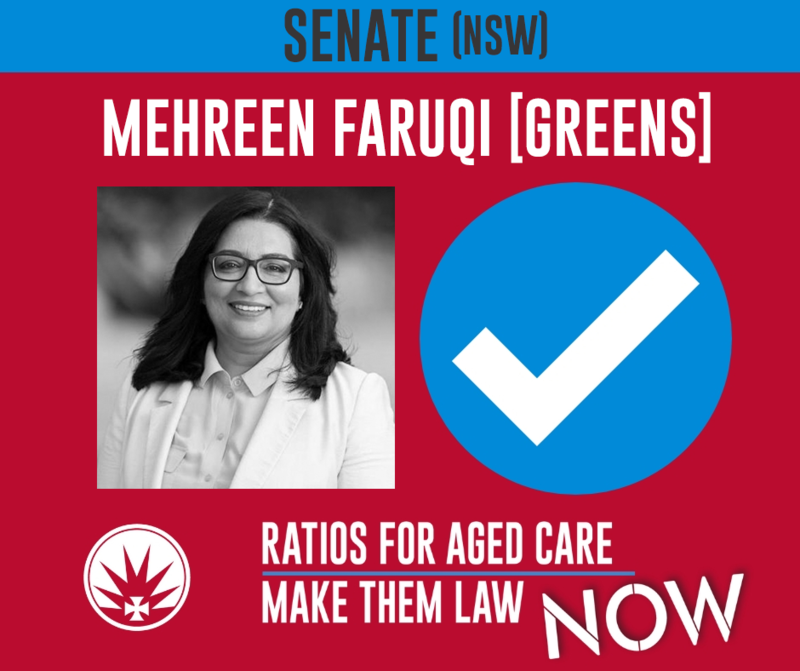 The politicians below have already pledged their support, if your local politician isn't listed you can take action and contact them by going to http://timeforruby.anmf.org.au/. 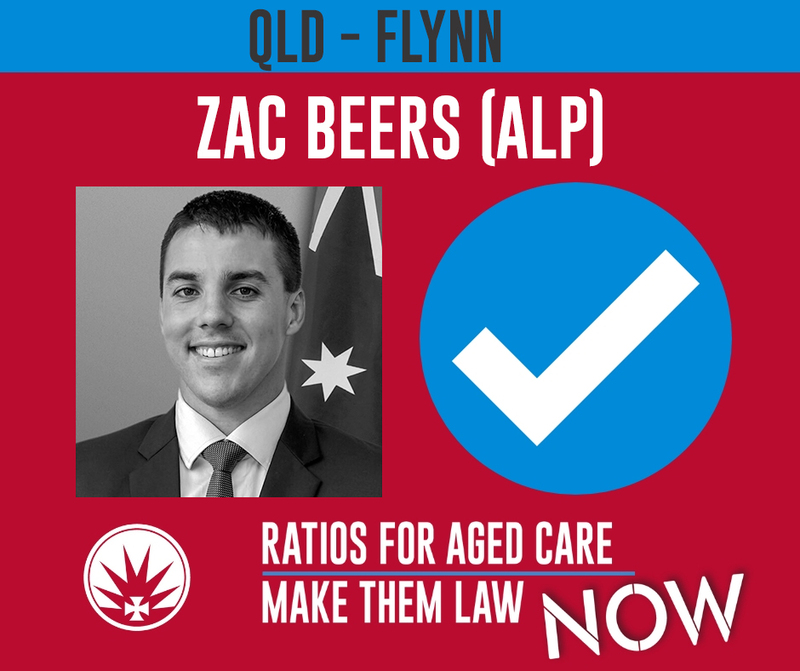 The ANMF is a federation of strong and active Branches in every State and Territory in Australia with more than 275,000 members.